Hello Everyone! Wow we had an exciting day today! Lemme just get right into it. 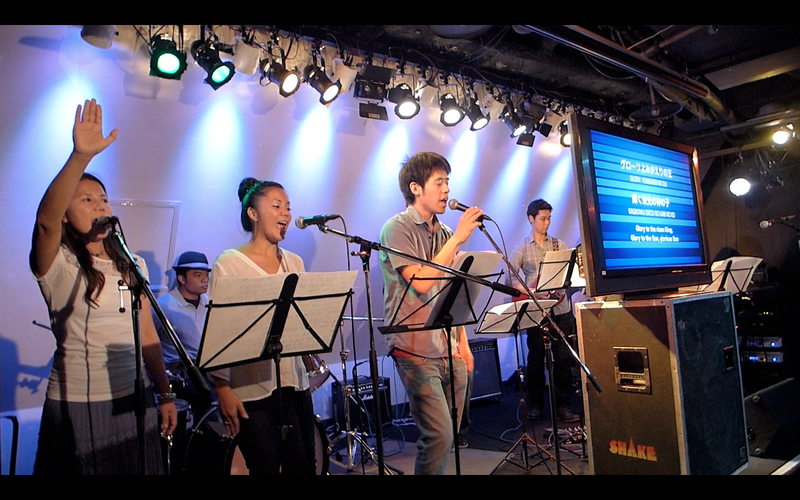 After worship and prayer we set out for Tokyo University again. 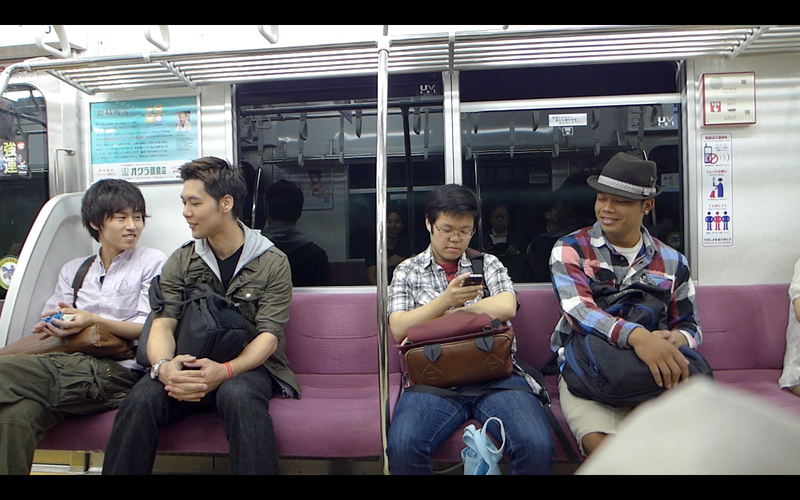 As usual, Daniel met a super cool dude on the train. As we got onto campus, the boys ate lunch with one of the dancers we met while the girls went to Shibuya to have lunch with one of the girls. While sitting in the cafeteria, Justin was playing on his ukelele. On the next table over, Josh noticed there were some guys looking over at Justin playing. 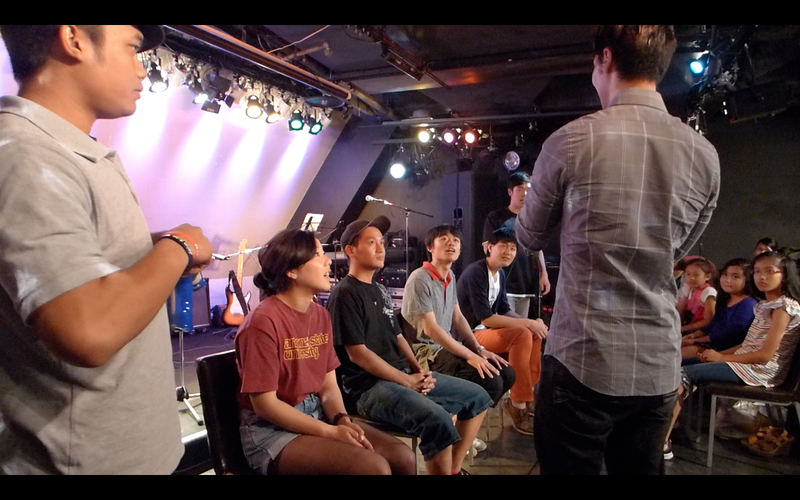 Josh asked them, “You wanna try?” Then we were able to talk story with them. It turns out they are graduate science students. So it was cool making new friends with them. We were super blessed because they invited us to and exhibition of their studies tomorrow. So we plan to support them. Looking forward to see their work! As we talked story with them, Jade and Keiko came to meet us with some delicious cheese pie thing from Pablos and we shared it with our new friends. After the guys left, we moved to another table downstairs. 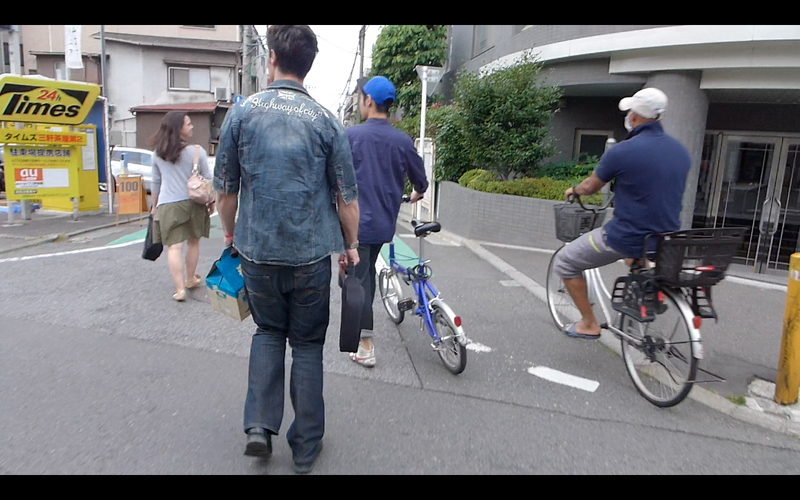 While there, we were waiting for one of our friends, Norihiko to drop by. 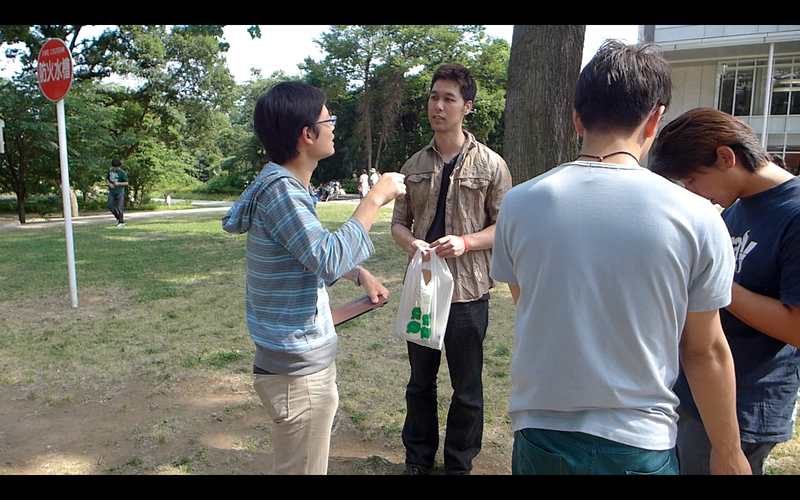 We met Nori last week Thursday and got to talk story with him. 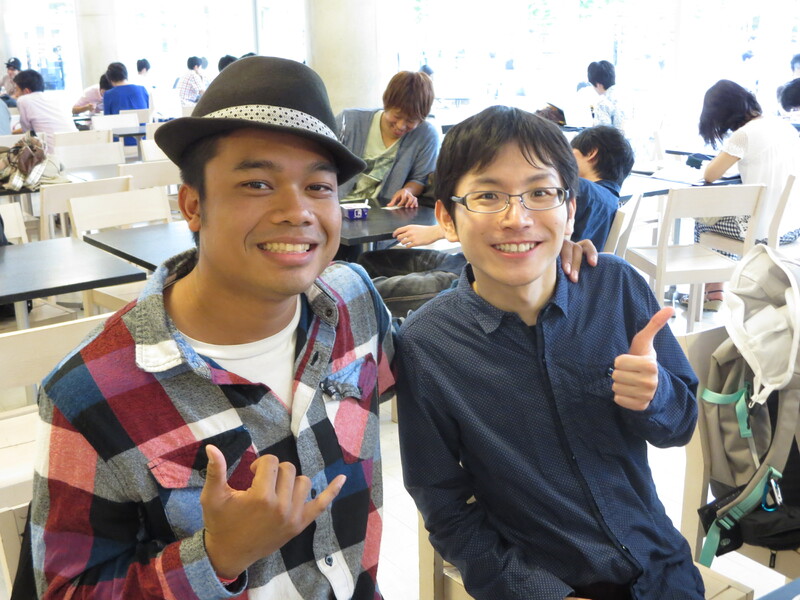 He is one of the most happy and awesome graduate student’s that we had a privilege of meeting in Todai. Then today we talked more and started talking about his life and family. We sat down and chatted with him for awhile. Was super cool hearing his story and hanging out. Then I (Shaun) noticed on the table beside me, 3 people drawing. I looked over and I complimented on their work. They shared with me that they were planning an art show this coming Saturday that Todai was hosting. At the same time, I noticed that Josh prayed over Nori. He was so touched, that he asked if he could pray again but this time, he wanted to record! So Josh did. Then Josh shared with him about Jesus Christ. Meanwhile, I continued my conversation with the artists on the other table. 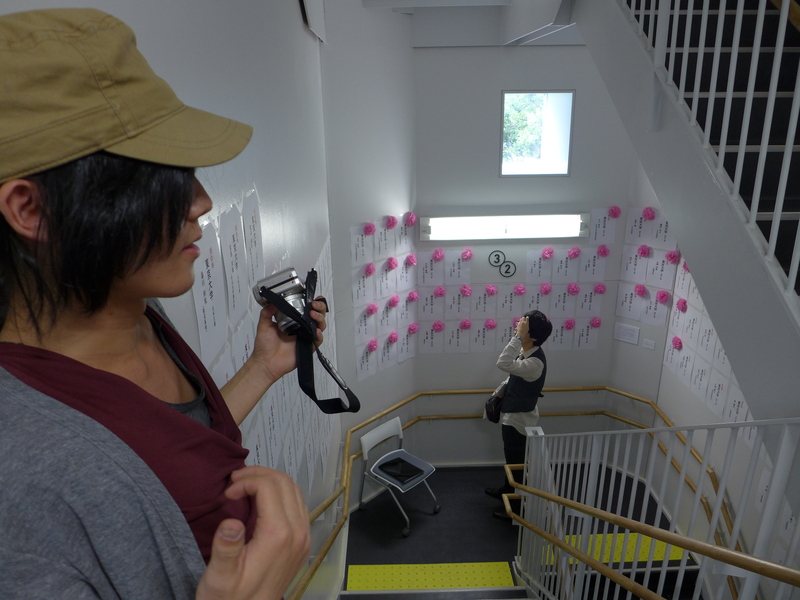 Amongst them, was Yuico. She was the one coordinating the show. Was cool hearing their story of putting together the show and encouraged her that she is doing a great thing in coordinating the event. Then I asked if I could draw with them, so I ended drawing one of the dudes there. Was able to share my portfolio with them and my passion for art and how it intertwines with my walk with God. 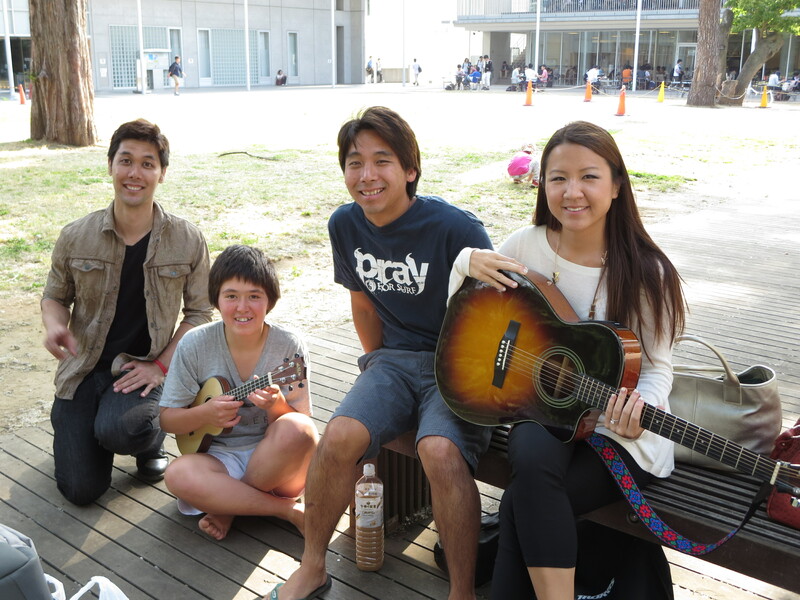 Was able to invited them out to our upcoming events like the talent show and also to come visit Grace tokyo. Was fun drawing together with them. While drawing, I could hear what sounded like the prayer to receive Jesus as his Lord and Savior, and it was Nori (who was sitting next to me) praying it! WOW! 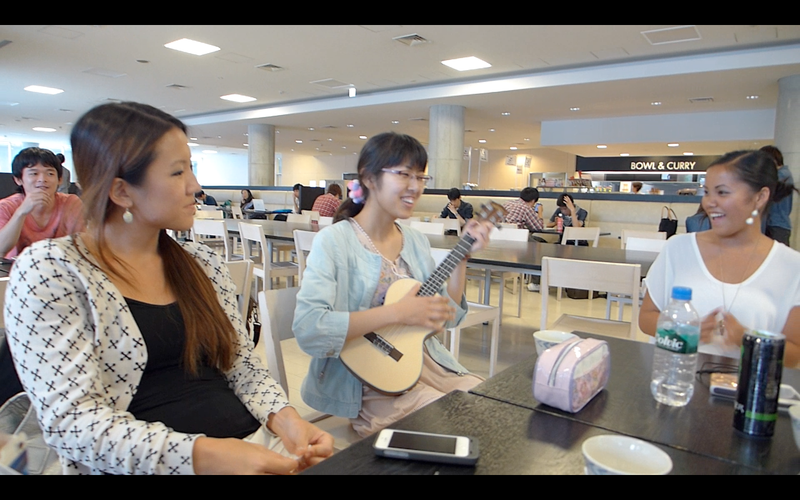 Right then and there, in the cafeteria with lots of students around eating and hanging out, Nori made a decision for Jesus Christ! Praise God! Was so awesome to have been a witness of that! We all celebrated with him and encouraged him with his decision. We are so excited for him! We hung out for a bit more with him then he had to get going. It is amazing how God is using this team. Each one playing a vital part in friendship and sharing Christ’s love. 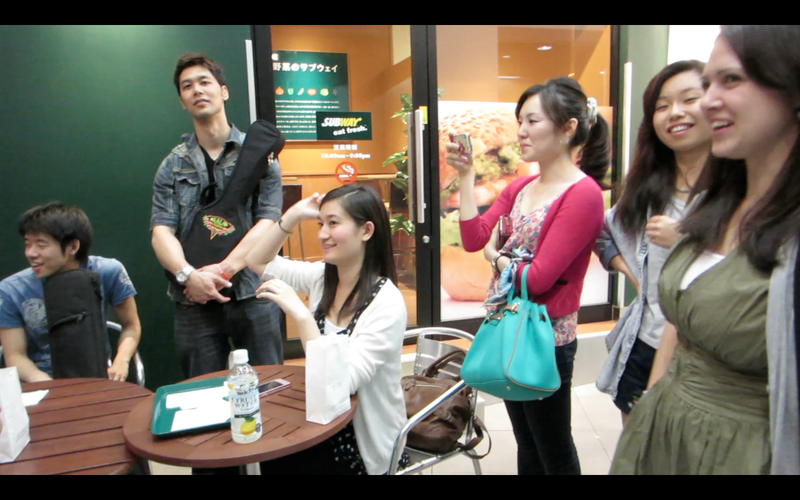 Afterwards, it was so cool that Yurika came out to hang out with us. 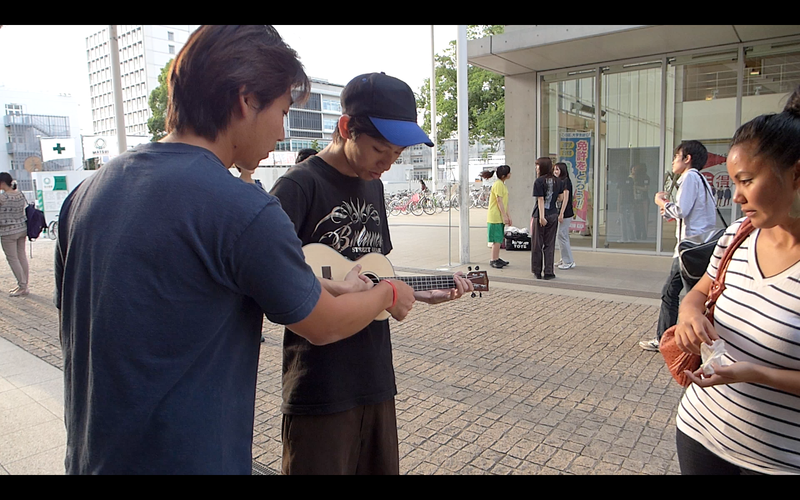 She played a little song on the uke for us! 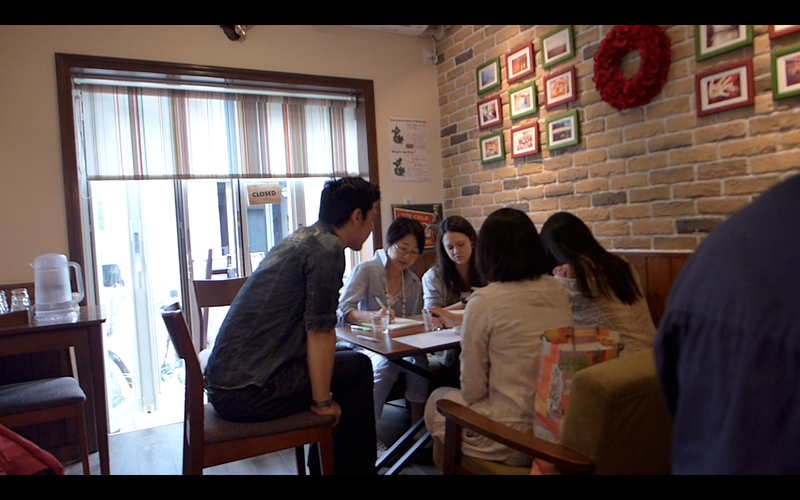 Meanwhile, we continued talking story with the artists at the table beside us and our team was able to meet them as well. They shared with us that they were asking students to draw what they crave. They even offered if we would like to draw something for the show, so Daniel and I drew something. Daniel drew something and he shared with them at the table that he craved to see his whole family in heaven. I did a handstyle of a favorite scripture of mine. I shared with them the scripture I wrote and that I crave the scriptures from the bible because it brings life and it challenges my heart and the way I live. 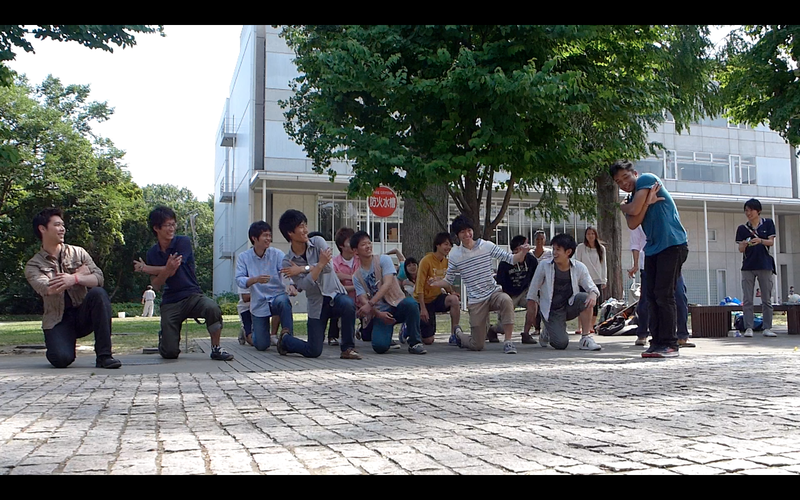 Afterwards, we took a group picture with our new friends. Was so great meeting them. 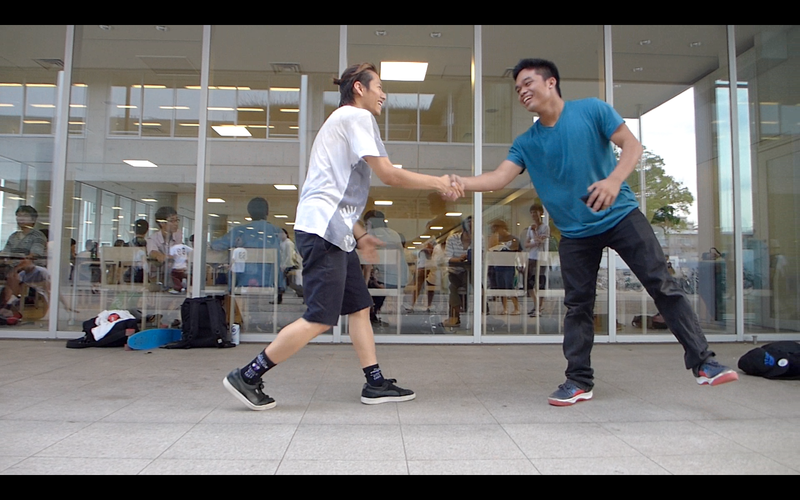 After we left the cafeteria we met Tait who was dancing. It turns out it was his birthday! So we encouraged him that we would like to take him out to have dinner. He agreed. So we met him after he had to take care of things. 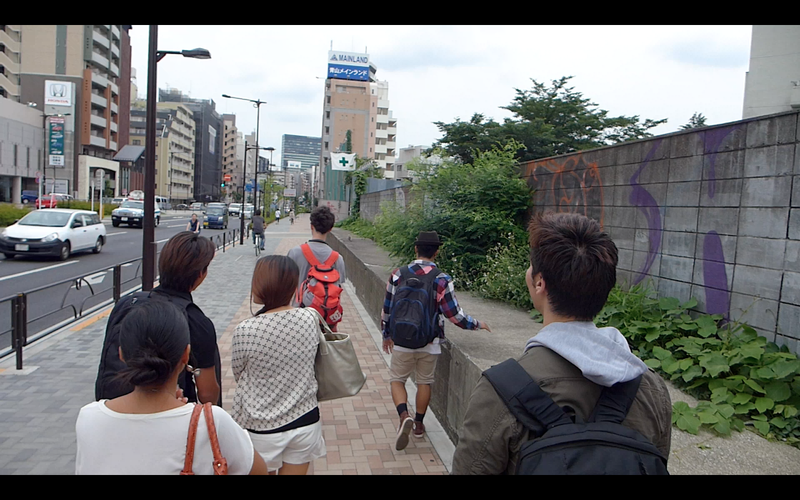 Then we walked from Todai to Shibuya! 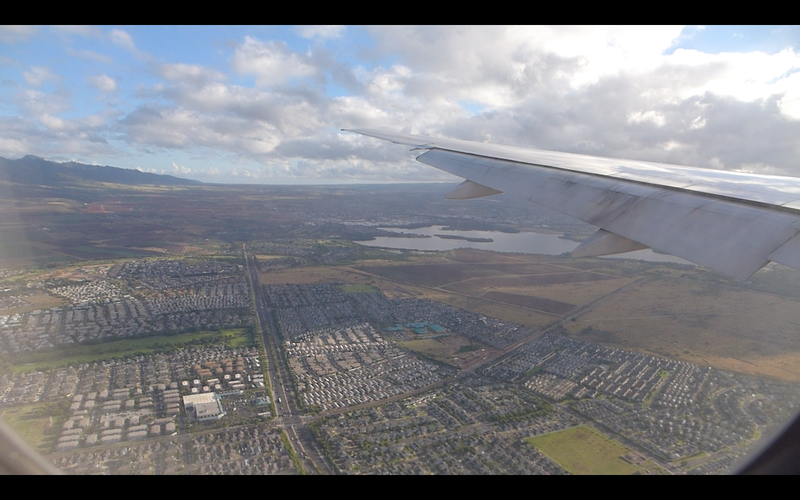 It wasn’t too long, but we were able to see a different part of the city. So that was cool! We all walked together and found a place to eat. 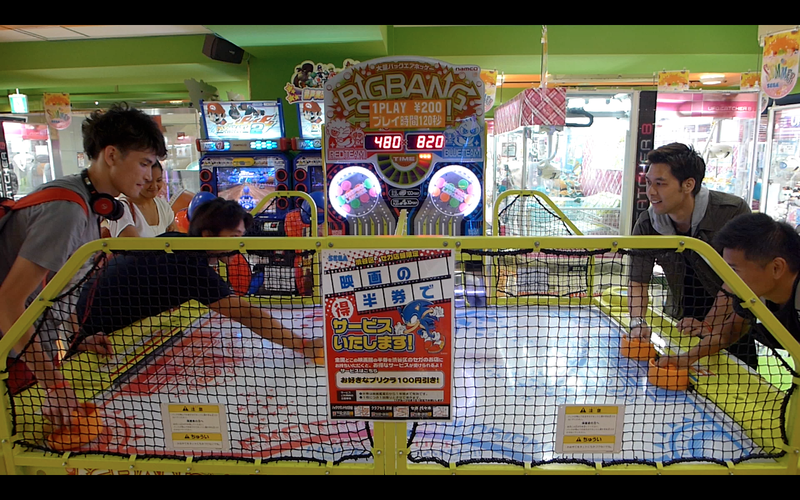 Afterwards, hung out at the arcade. After that we surprised him singing happy birthday and blessed him with a little dessert with a candle on it. Was super awesome to be there to hang out with him. We walked back to Hachi-Ko statue. Tait blessed us with a dance routine he was working on. 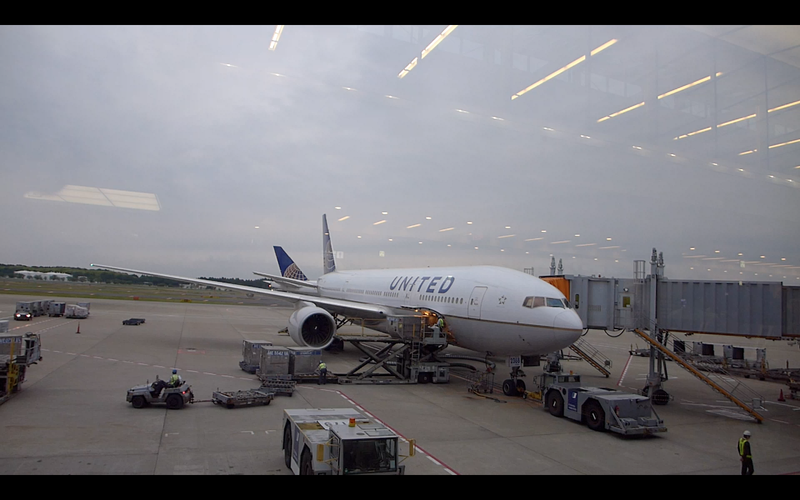 Here it is…. Hope you like it Tait! Was such a great way to end our day. Was super cool to celebrate with him on his 19th birthday! We started our day with prayer. Prayed thankful prayers to God for all that He has done. 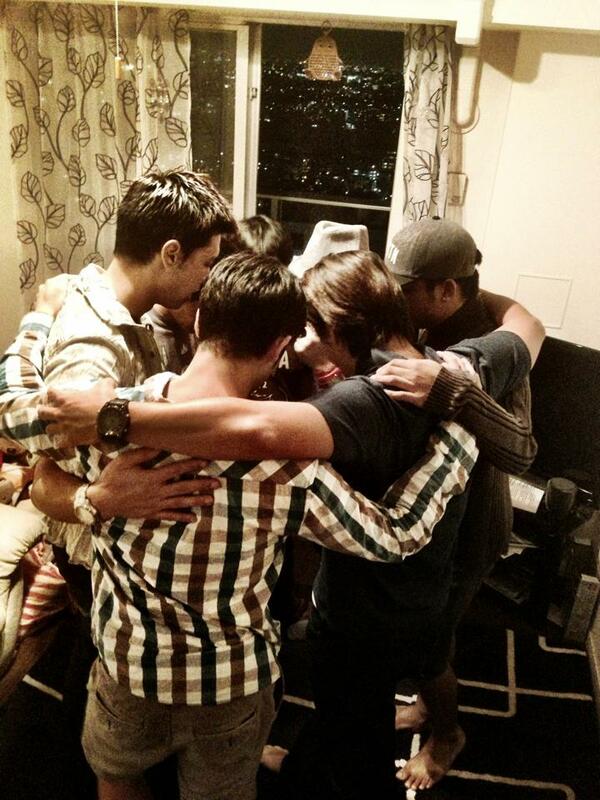 Thanked God for allowing us to meet such amazing people. 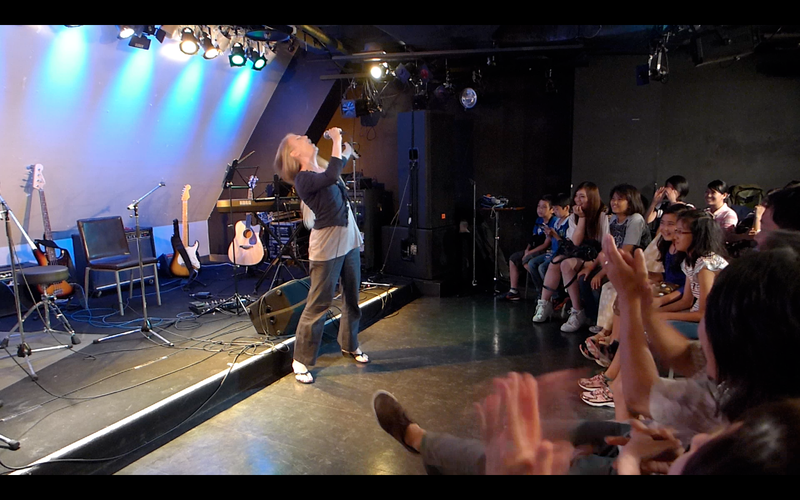 Prayed that God would continue to move in each and every person’s life that He’s allowed us to come into contact with in Japan. Asked God to continue to water the seeds that’s planted and that some way some how they would come to know Jesus Christ. 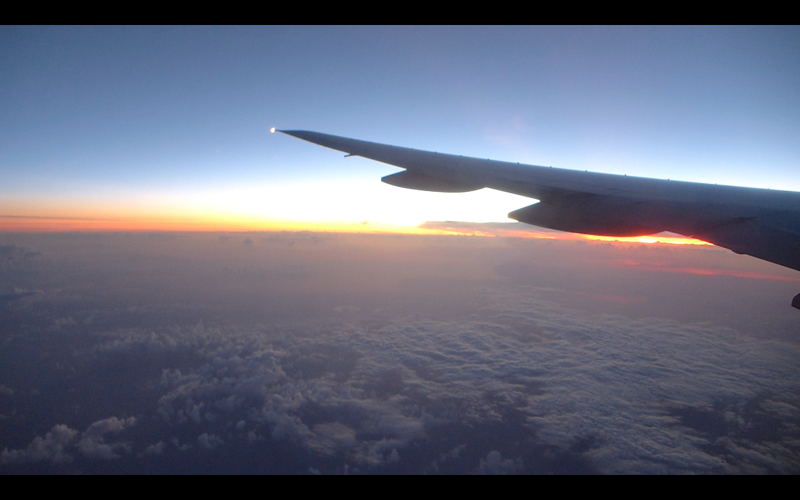 We prayed so much more things and not even time to write it here. After prayer, we packed our things and checked out of our hostel. We travelled to pastor Glen’s place. We hung out and debriefed with him our experience of the church. We had lunch together with him and Maiken came to join us too! 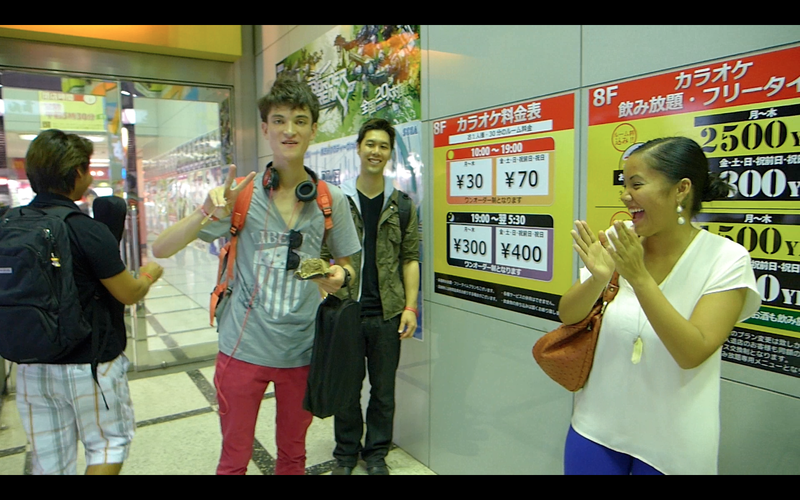 Afterwards, Jade and I bought our train pass to Narita airport. 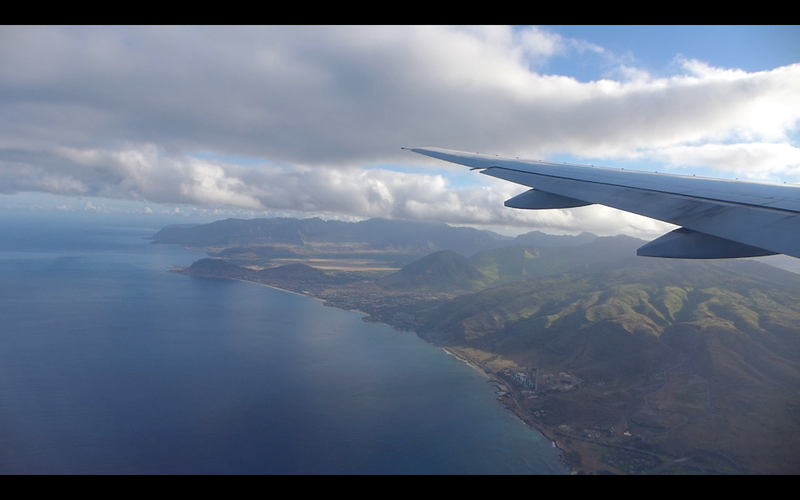 After that, Justin, Keiko, Daniel, and Josh parted ways to go back to Todai to meet with Jireh and hangout with Zhou and …..
Jade and I hungout with Pastor Glen’s place for an hour, then we went on our last train ride to the airport. 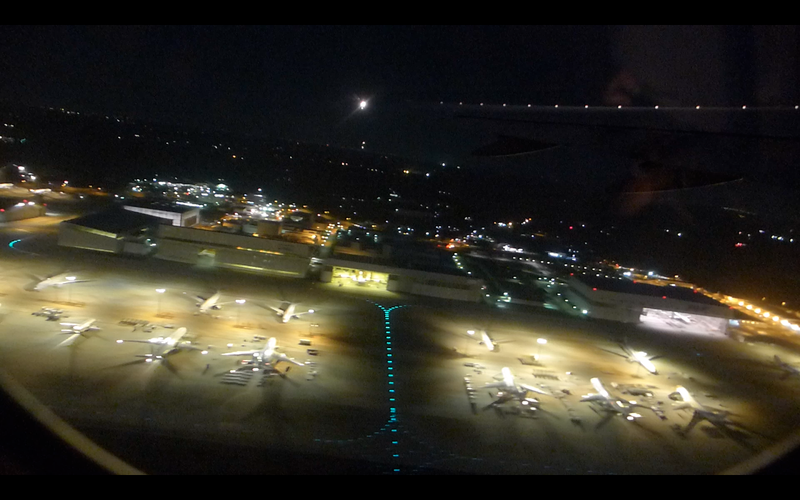 Here are pics of our flight coming back home. Josh travelled back home late Monday evening. 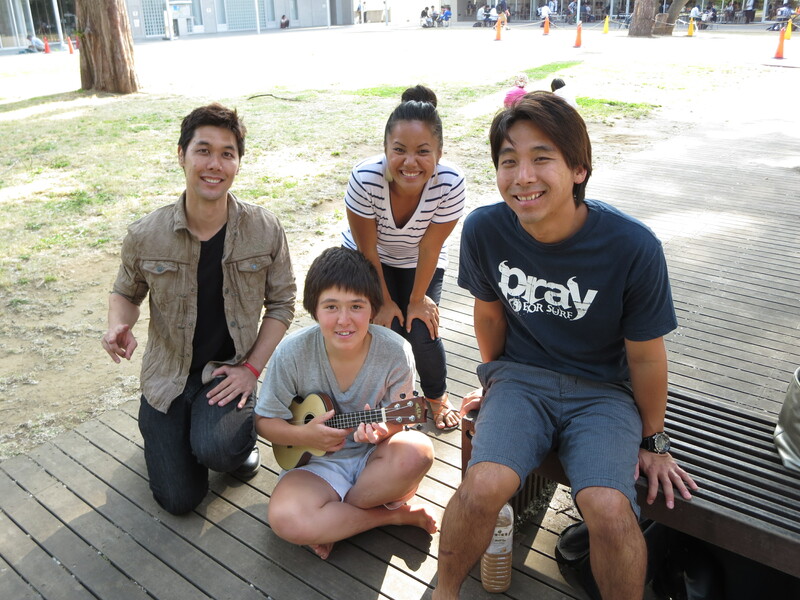 Daniel, Justin and Keiko stayed a few more days in Japan then flew back home to Hawaii. 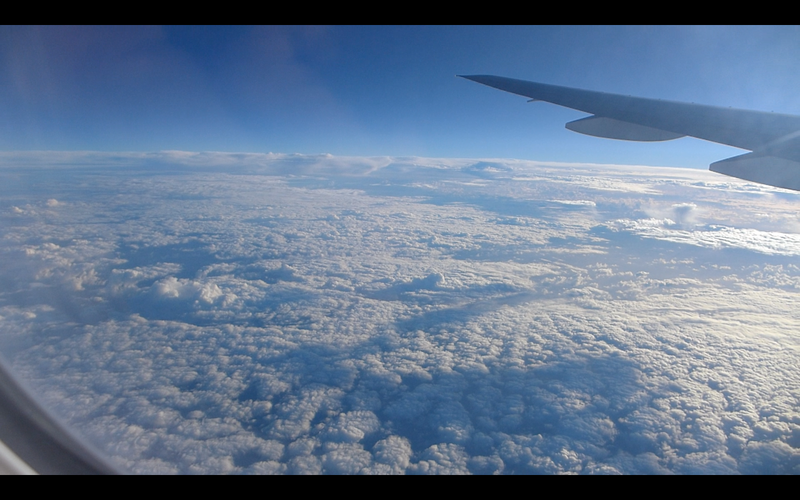 It was an amazing journey that God allowed us to experienced. 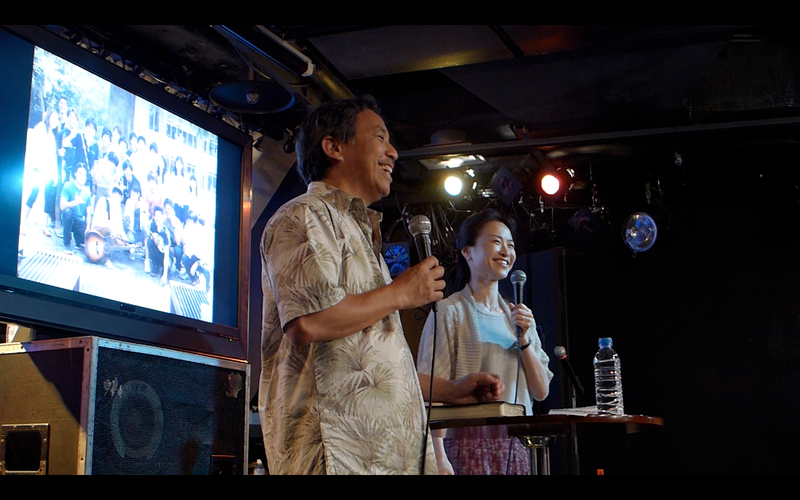 We were so blessed to have met so much awesome people in Japan and we excited to hear all the amazing stories of what God will do in and through Grace Tokyo and the lives of all those we met. To God be all the glory! Our team prayed together and headed down for our last sunday service. We were really excited to see how God will unfold the entire day. 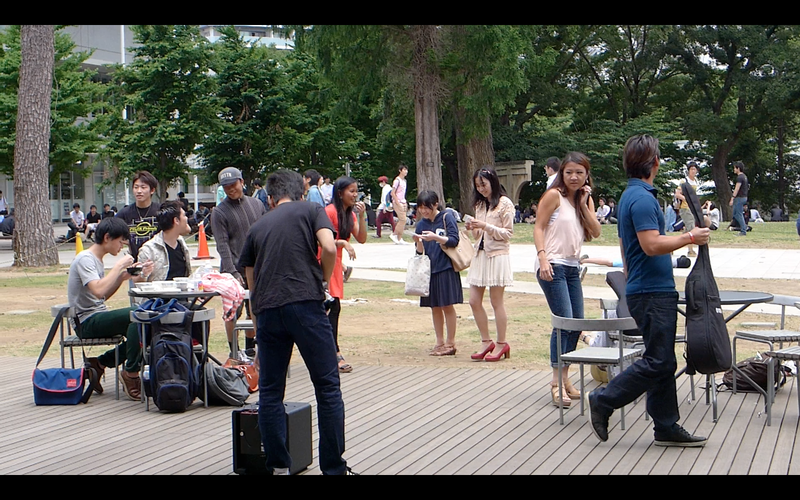 We arrived early along with the Grace Tokyo volunteers. 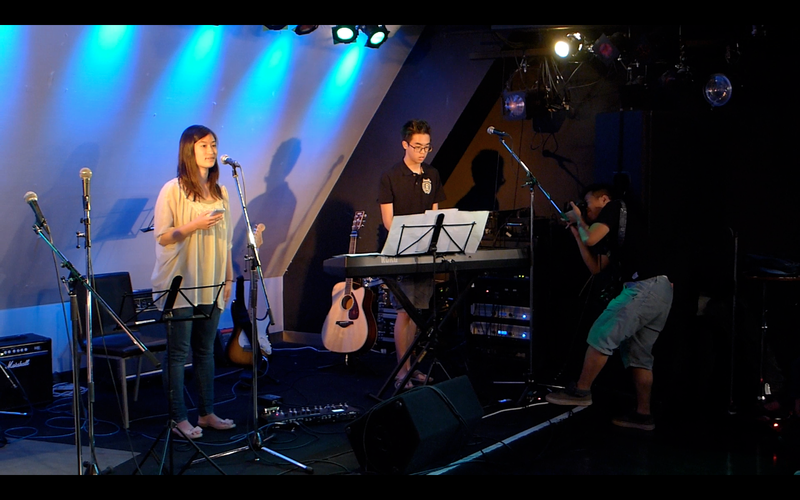 We helped them setup the service and our team prepared for worship. Then service began. 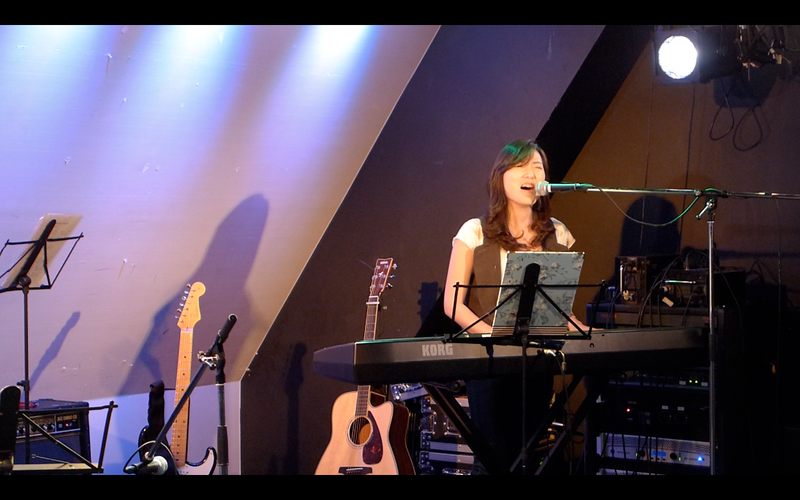 Worship was great! 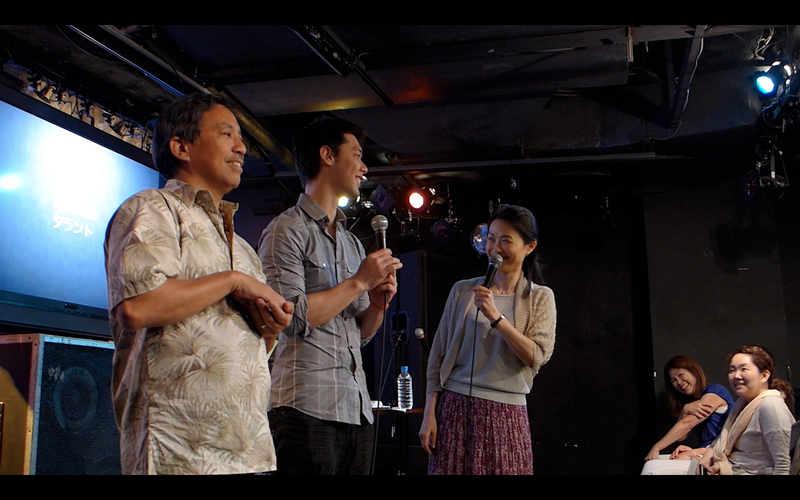 The Holy Spirit really was there and by God’s grace God drew in our friends Taichi, Kenichi, and Nishi! Pastor Glen gave a really great message. Then he shared his testimony. Then Jade shared her testimony. Afterwards, Daniel shared his testimony. 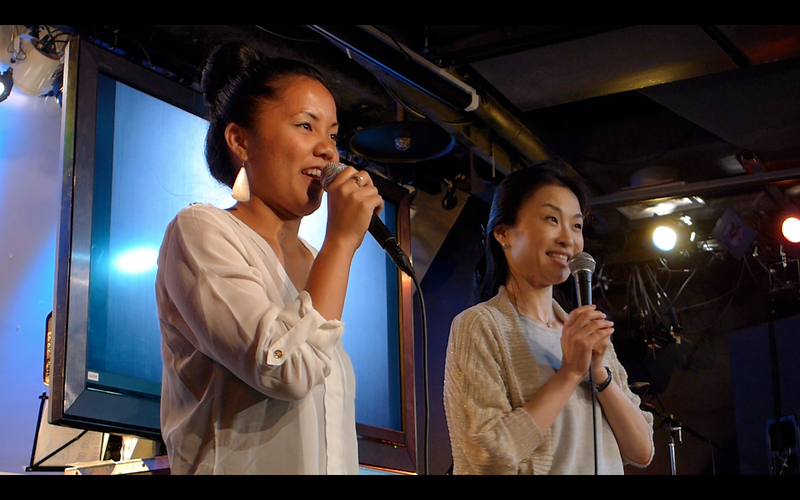 We had a fun time after service talking story and connecting them with Grace Tokyo. 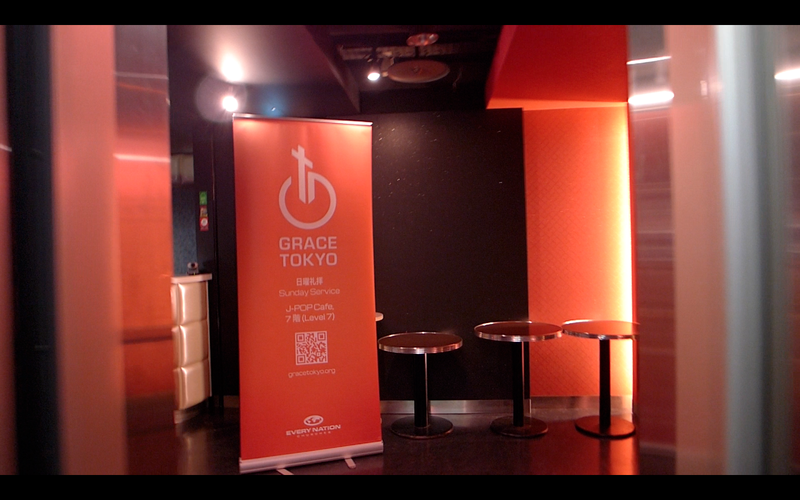 Grace Tokyo was super awesome in extending their love to guests. 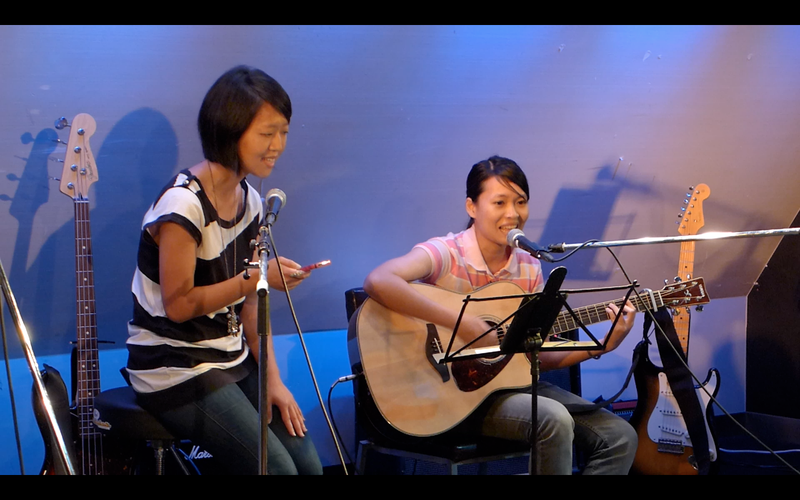 Was super blessed to have Taichi, Kenichi and Nishi join us at service and even the talent show! Josh shared his testimony on using your gifts and talents. Thank you Nao for translating. 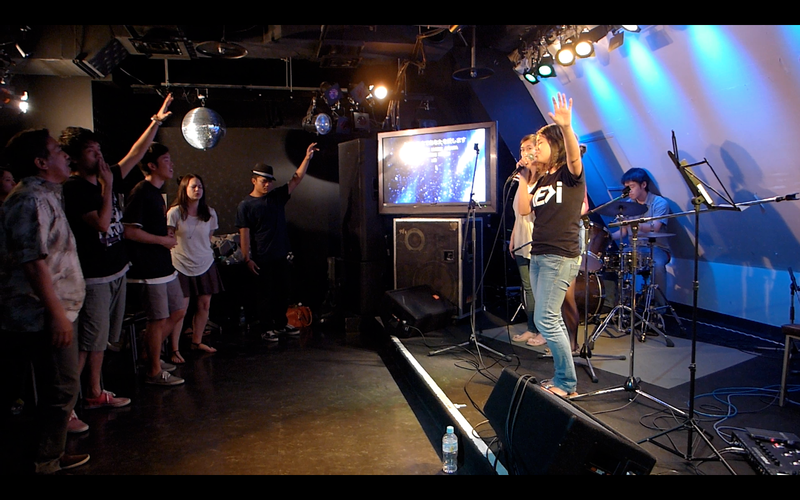 Pastor Glen closing the night sharing about God and Grace Tokyo. 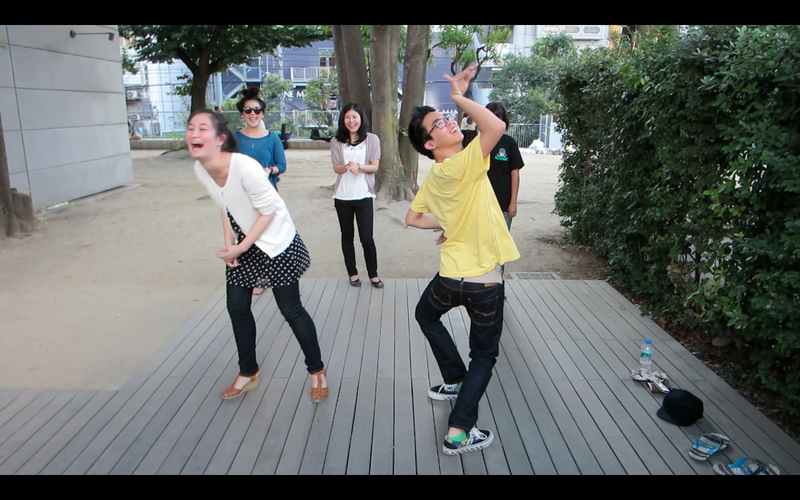 After the Talent Show, a whole lot of us hung out at Yoyogi Park! We hung out there for a few hours. 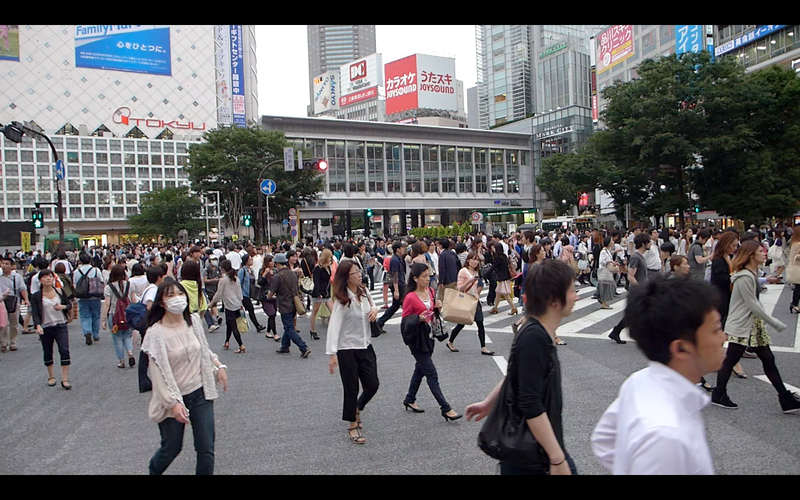 Then we all walked to Shibuya for dinner. We ate a really good all you can Shabu Shabu place! We celebrated Sharon’s bday! 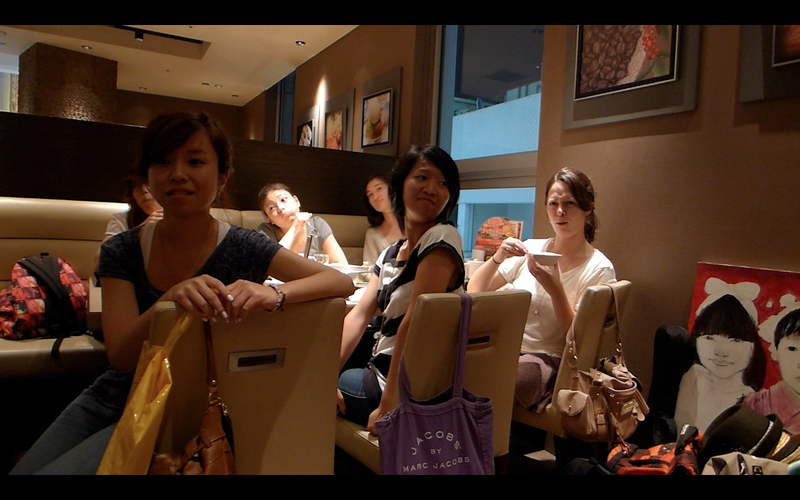 We spent time together at dinner for 1.5hours, then we gathered back at Hachi-Ko. There we came together. Took group pictures and we brought it in for a quick prayer. 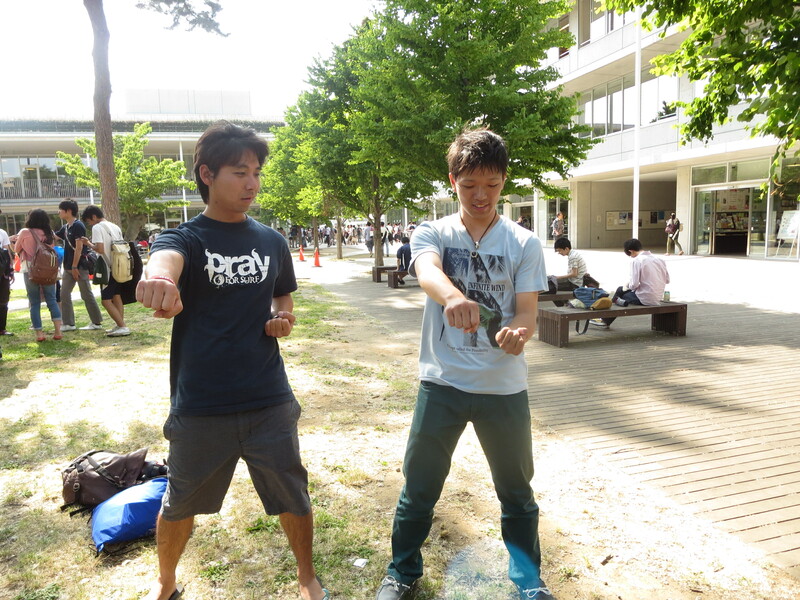 Thank you Yujiro for praying! 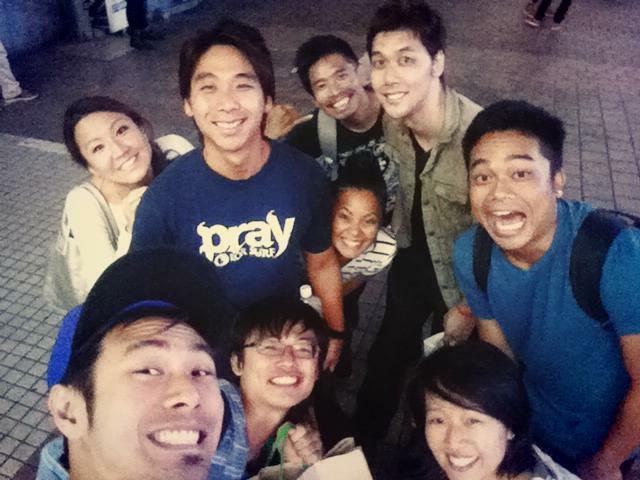 Our team and bunch of Grace Tokyo friends hung out there for a little bit, talking story, then eventually our conversation with Nishi led to talking about Christ. Right then and there, in the midst of all that was going on. Nishi made a decision to recieve Jesus as his Lord and Savior! 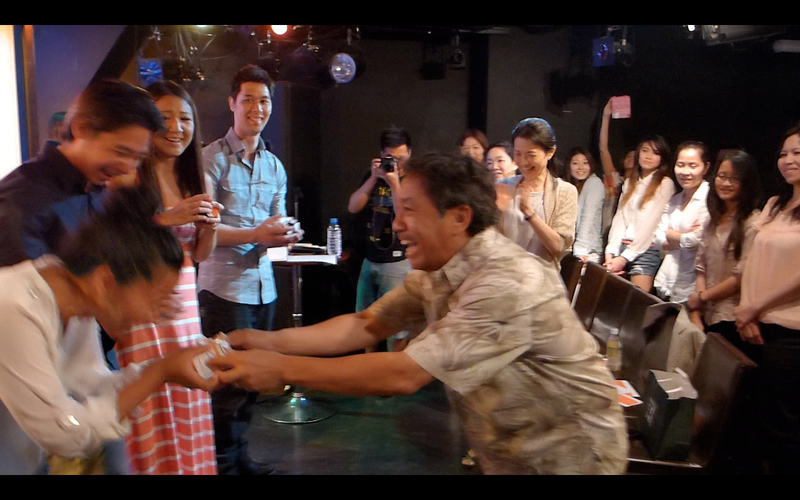 Our team and our friends from Grace Tokyo, had the great privilege to see him make this amazing decision! 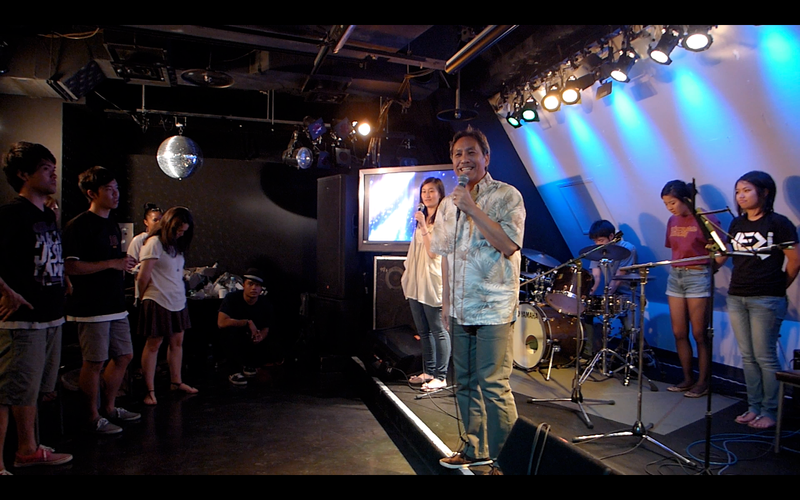 Was a great experience to hear the sinners prayer being spoken in japanese. Praise God! We were soOOoo blessed! God is soOo good! Super excited for Nishi! 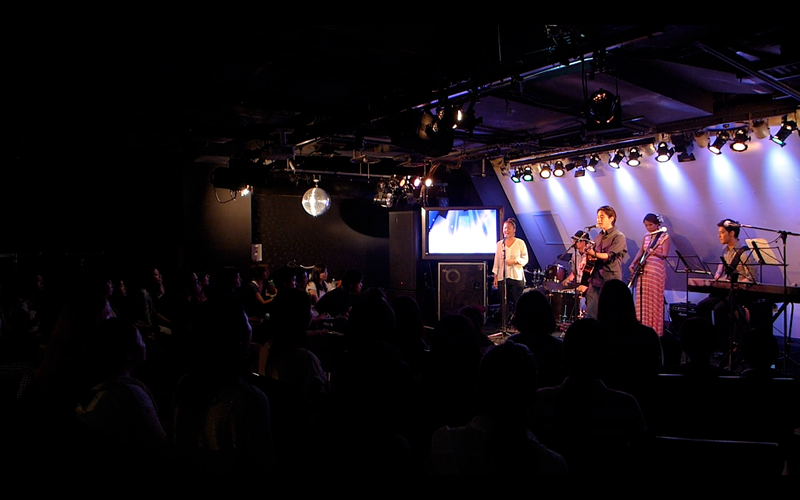 What a great way to end the evening in prayer in our last night in Tokyo! We started the day with prayer and worship. Afterwards our team split up to focus our ministry. 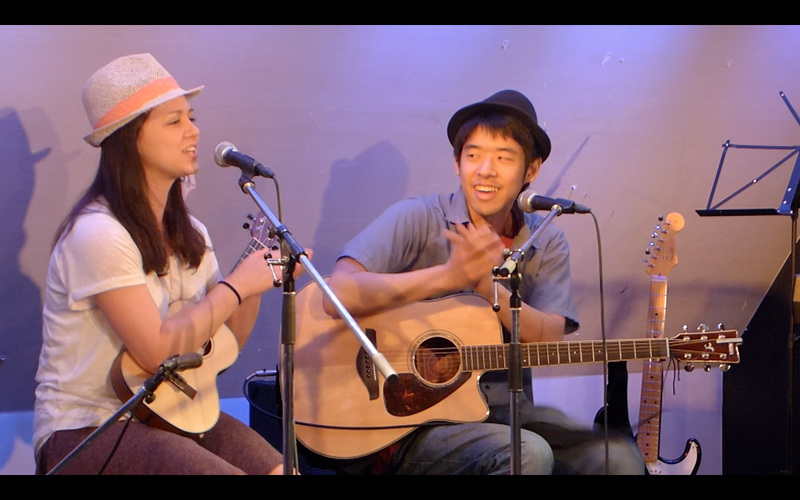 Jade, Josh, and Justin prepared for a Worship Team Workshop while Keiko, Daniel, and I (Shaun) prepared for an english chat club at Dodo No Sora Cafe. 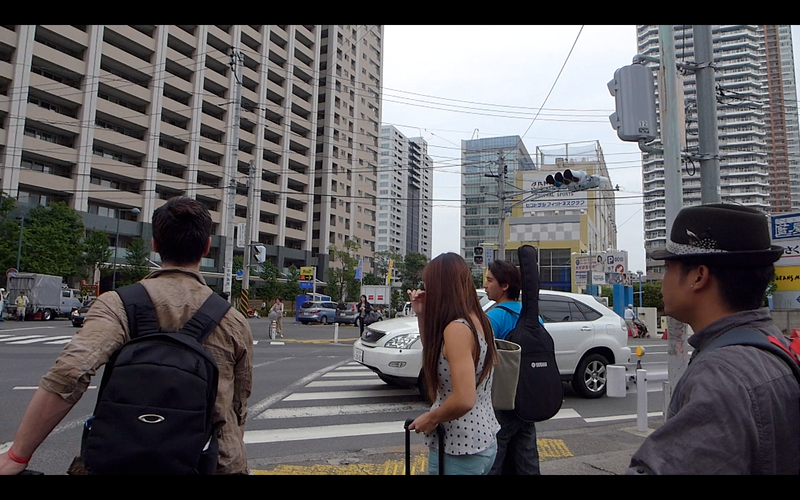 We travelled to Dodo No Sora and we walked to the venue. 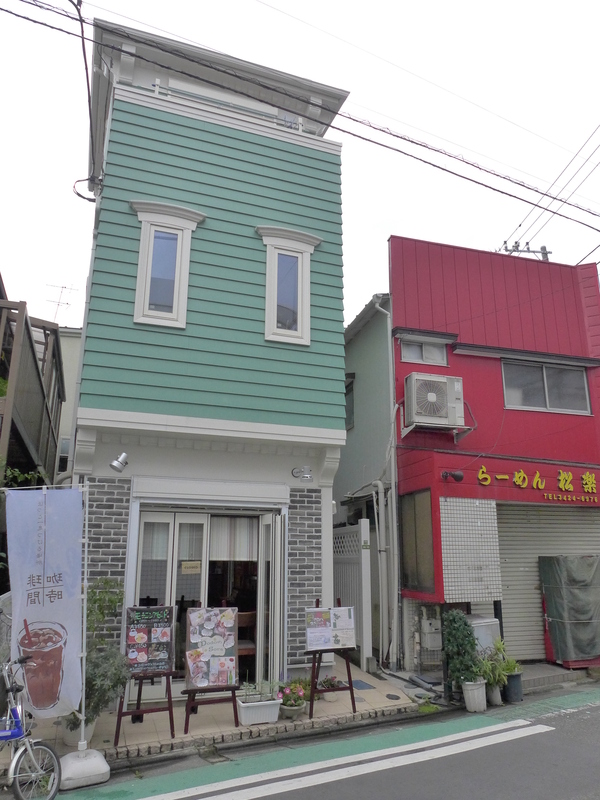 Their cafe was so nice. 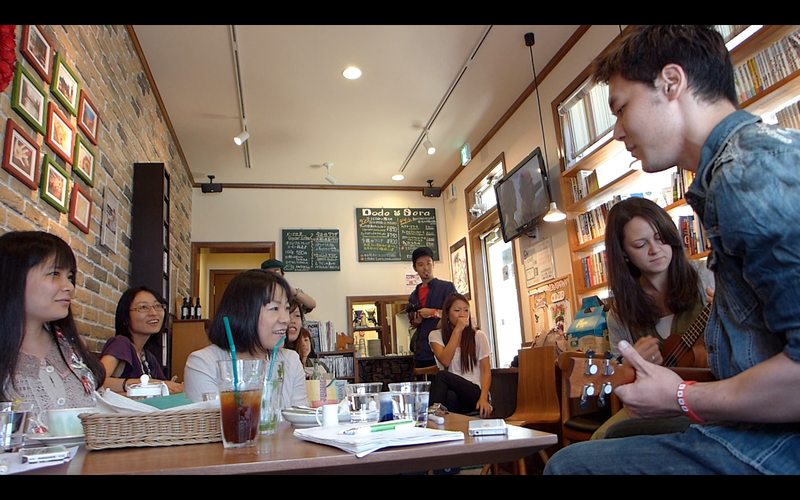 The Matsumoto family, who is part of Grace Tokyo, owns this cafe and they hosted the chat club really well. The food and coffee was soOOo good! 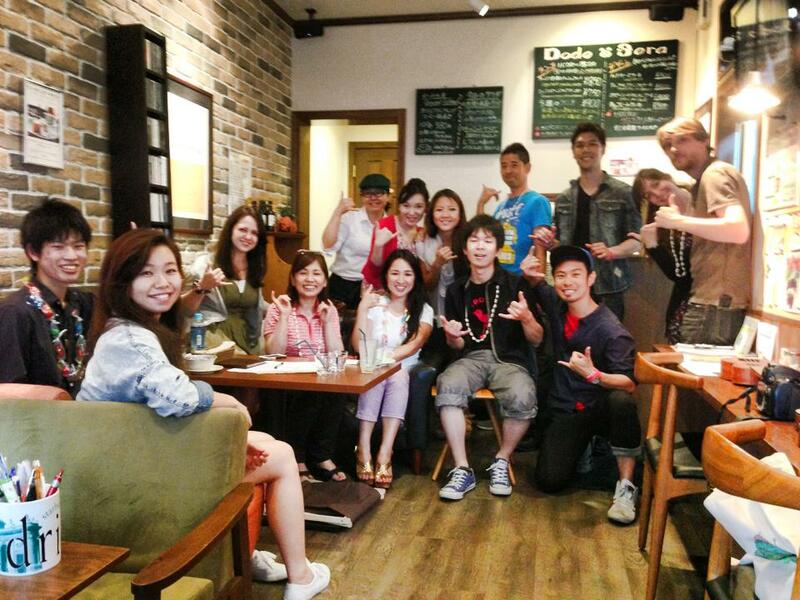 We broke up into groups, Julia who is from Grace Tokyo, and Daniel was in one group. 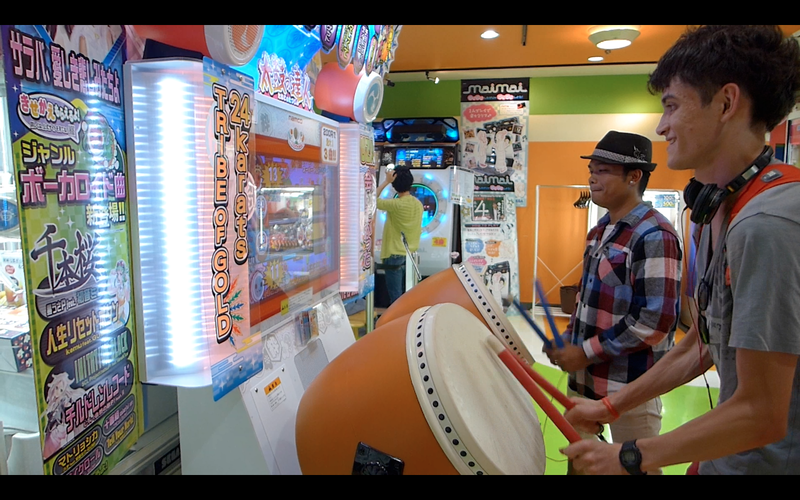 While Jireh, Keiko and I joined another. 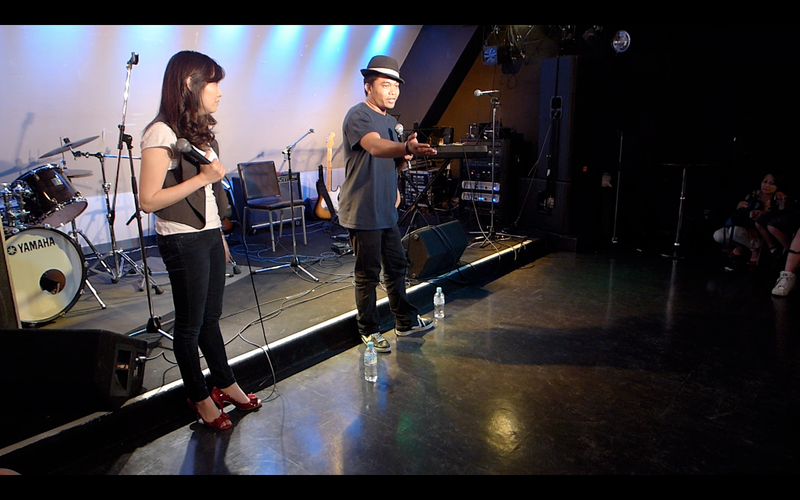 It was a fun time talking story with everyone. 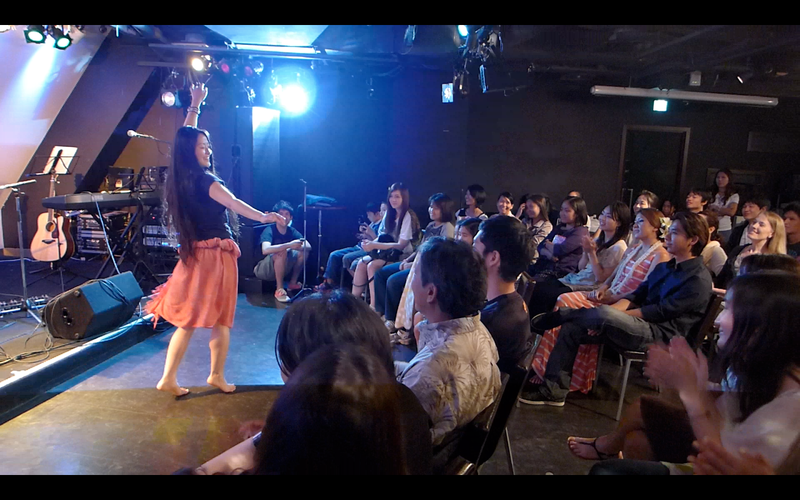 Afterwards, Keiko blessed everyone with a hula. 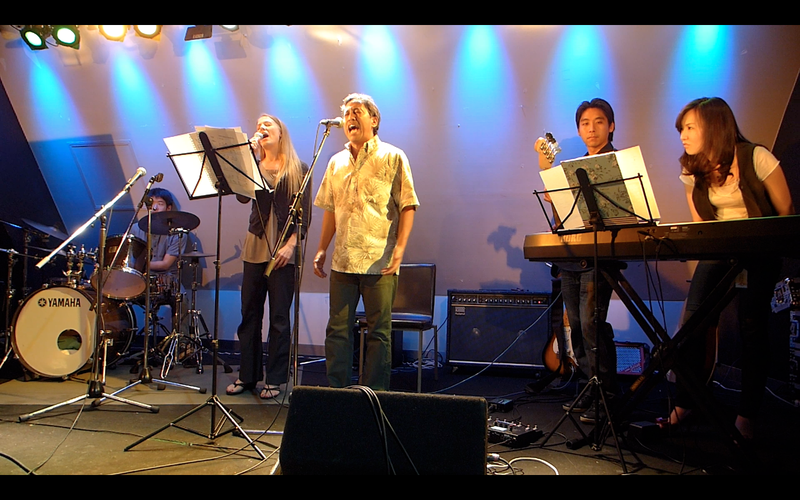 Then Daniel and Julia blessed everyone with a hawaiian song. Hehe. Afterwards, we hung out and talked story. 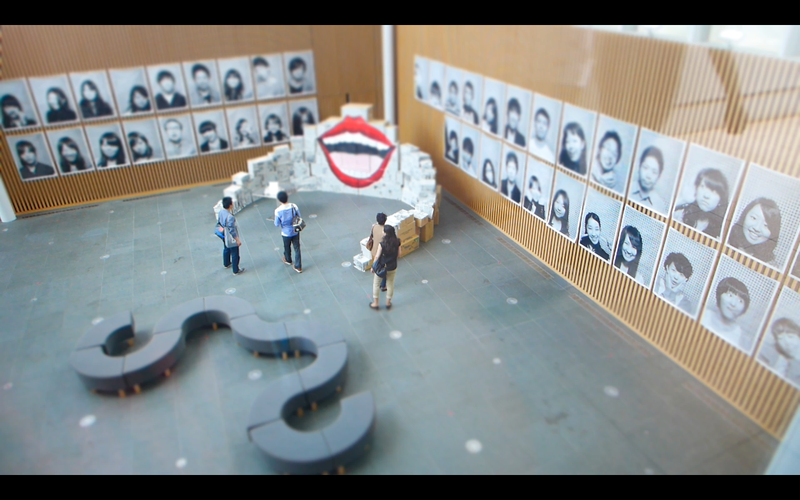 After the chat club, I (Shaun) felt led to travel to Todai-Komaba campus, to help support Todai Students in their art show called Craving Art. Since I was in a new city, I tried to retrace my steps back to the train station. I kept walking for a loooOOng time. 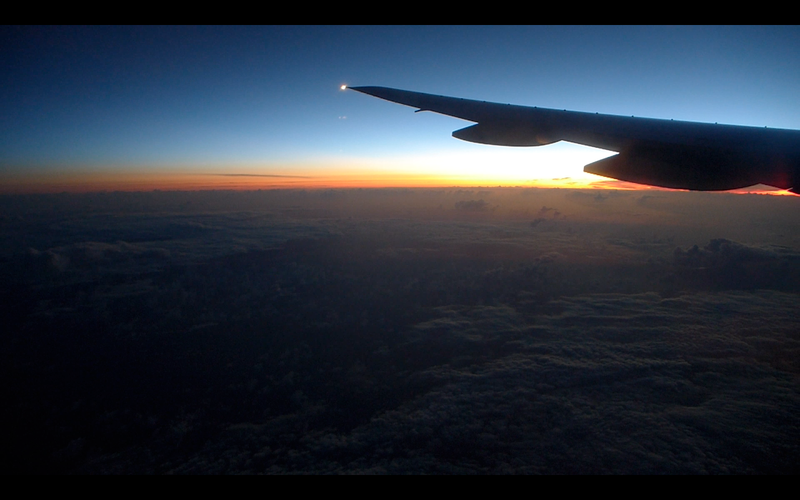 Then it dawned on me, I was going in the wrong direction! 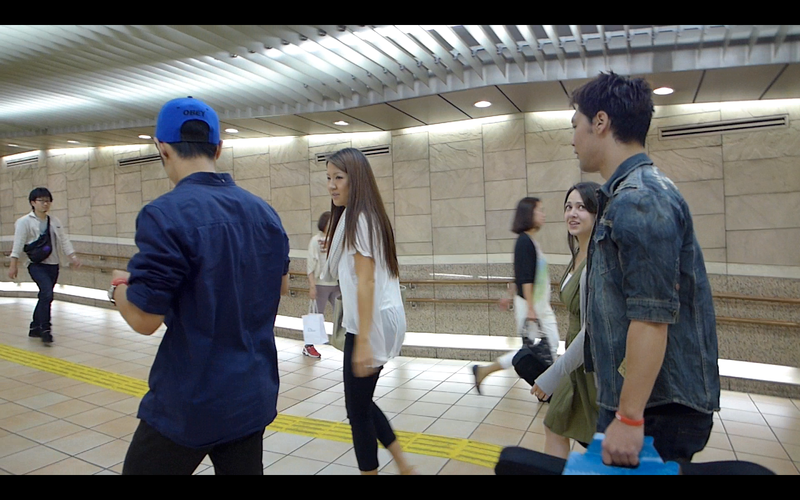 So I backtracked and eventually found my way to the train station and travelled to Todai. 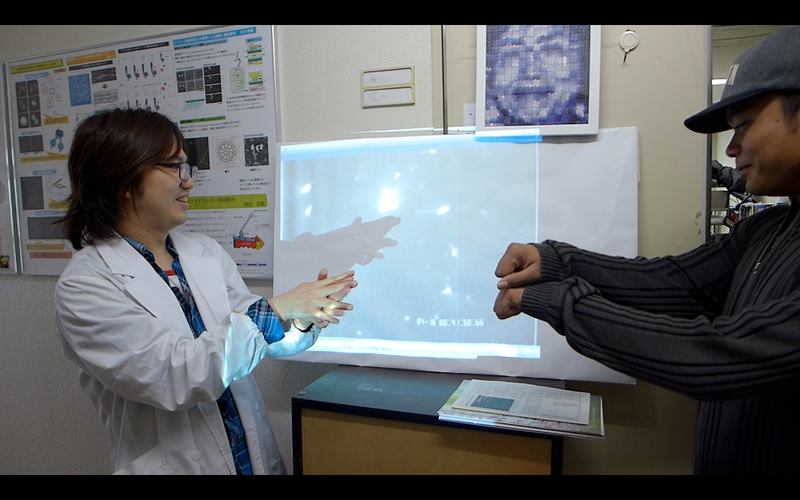 As I got there, I was able to reconnect with the main coordinator, Yuico, and just thank her for putting it together. 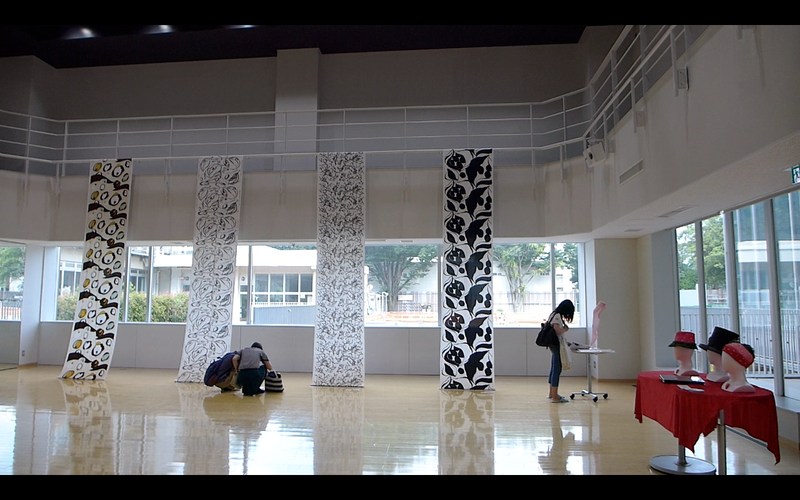 It turns out that it was the second art show they have done on Todai campus. She showed me a few of the works their and it was worth the trip! As I walked through several levels, I ran into some interesting art work. I was able to meet him and we both shared our portfolio’s. In the half hour or so talking story, I was able to share my testimony of my journey with art and faith in God. We both added eachother on facebook. Towards the end, I talked story with those at the front door. Was able to share my portfolio with them (even one of the security guards of the school came by to look at it too!). Was able to share my testimony too. 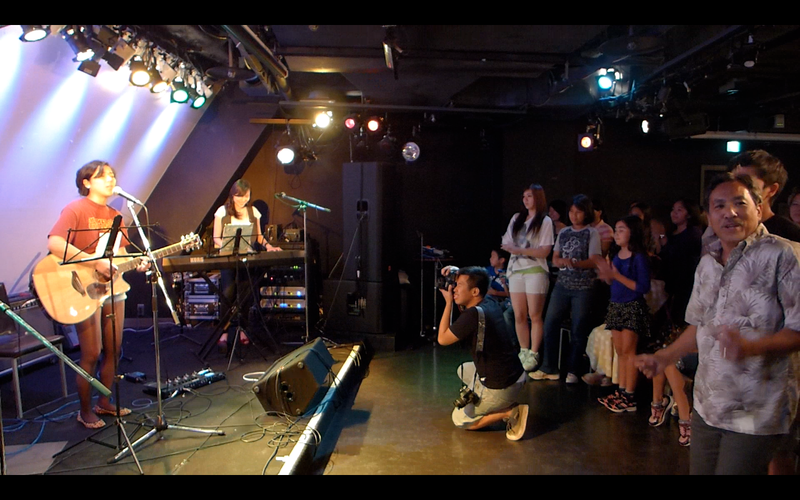 It turns out one of them I spoke to was Yuico’s older sister! 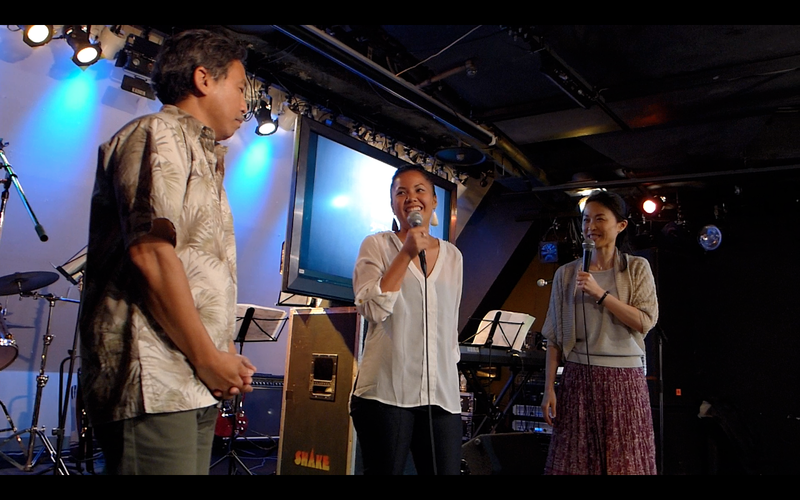 So it was a blessing to meet these cool people and share with them about Grace Tokyo and where they have services. Was cool connecting with them and I hope the best for them in their studies. 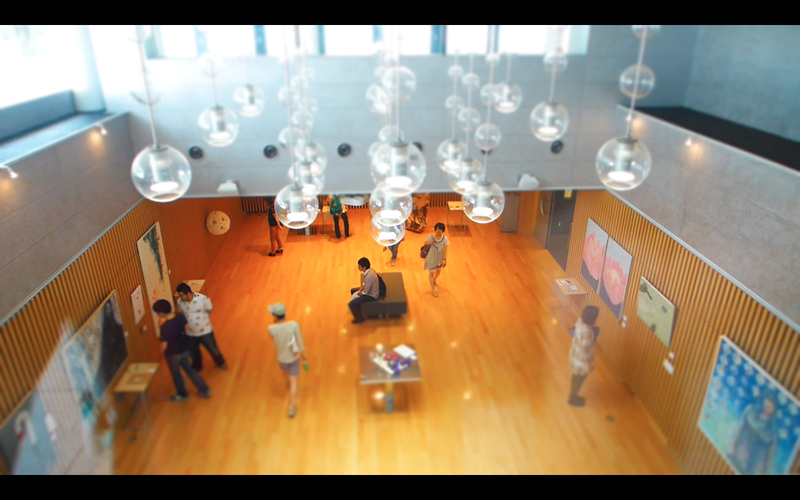 They shared with me that Todai does not have visual arts classes, only art history classes. So it was good that they put together this art show and give the chance for them to express themselves. In my opinion, without art, life would be so dull and boring. 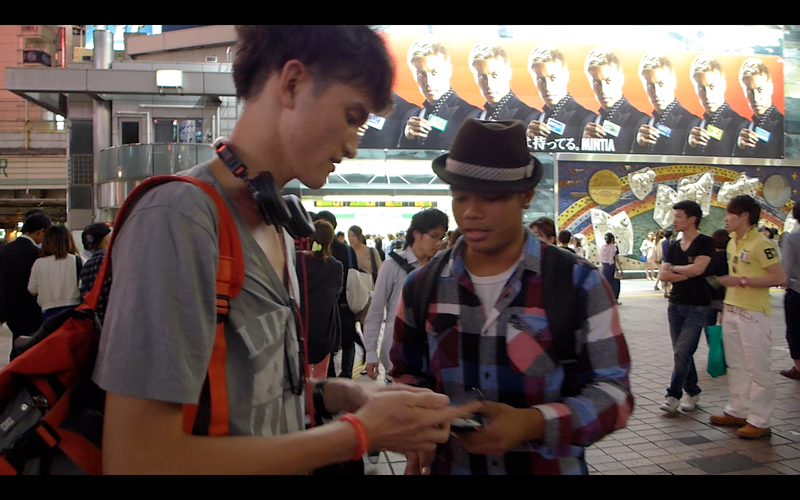 After that, I met up with our team back in Shibuya. 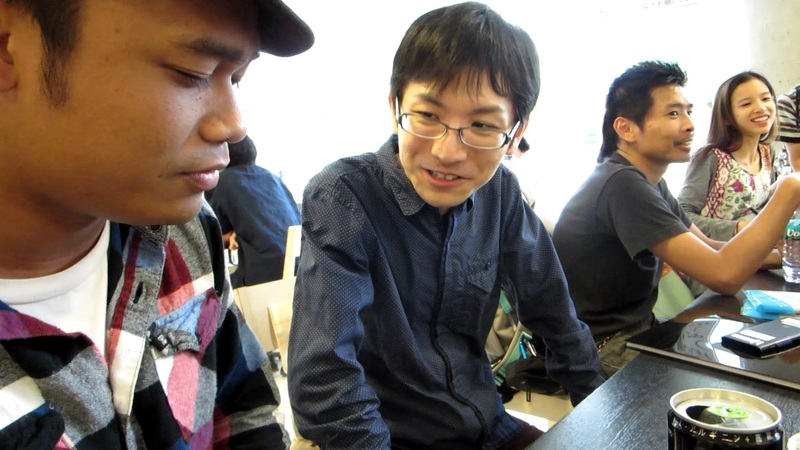 At the same time, I was at Todai- the Dodo No Sora Cafe’s afternoon chat club went on. 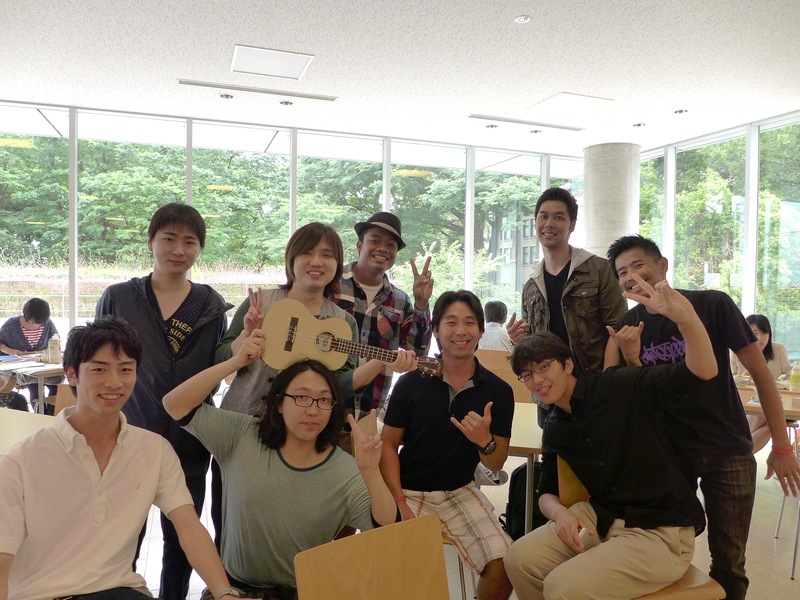 More great friends from Grace Tokyo came in to support in the chat club. They had a great time talking story and building friendships. 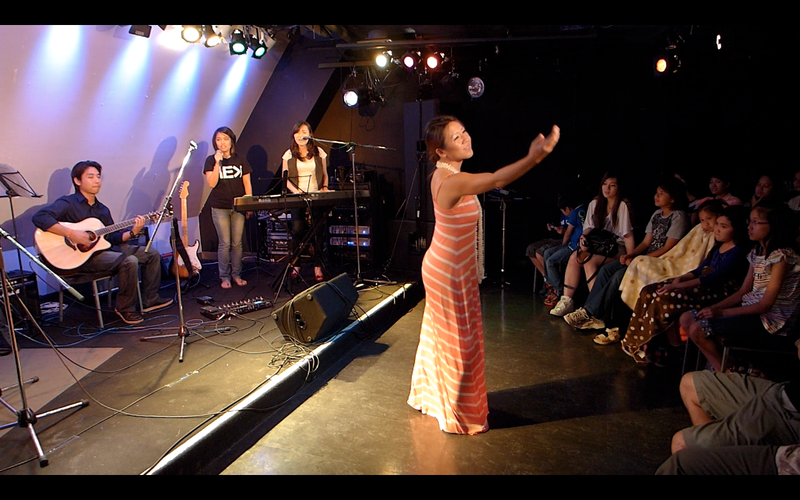 While this was happening, the Worship Workshop went on in a small studio. 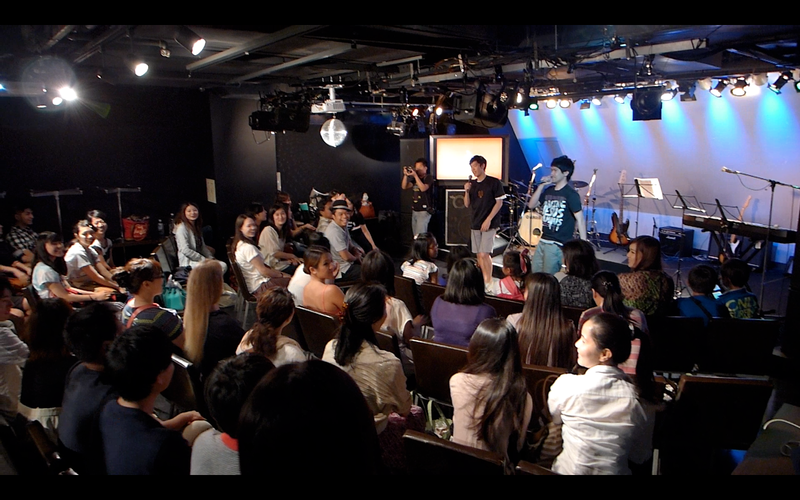 Justin did a brief teaching on what worship is and they broke up into small groups and did separate workshops. Justin worked with the bassists. Jade worked with the singers. Josh worked with the drummers. 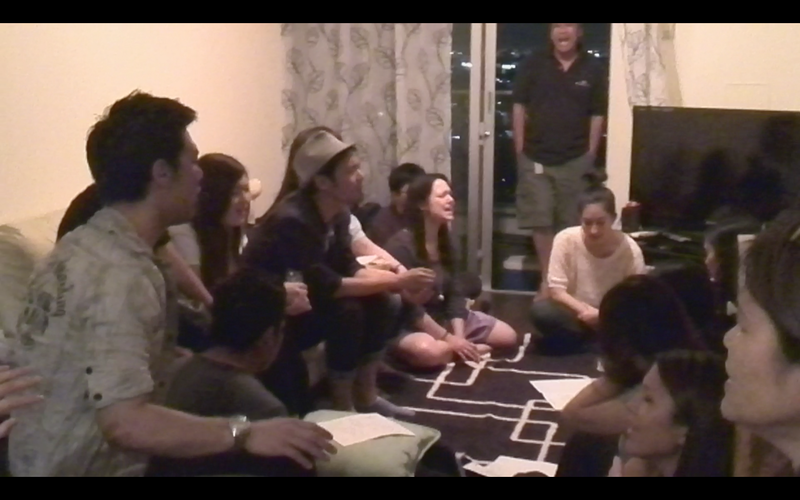 All in all, it was a fruitful and blessed time together, encouraging and imparting to one another. 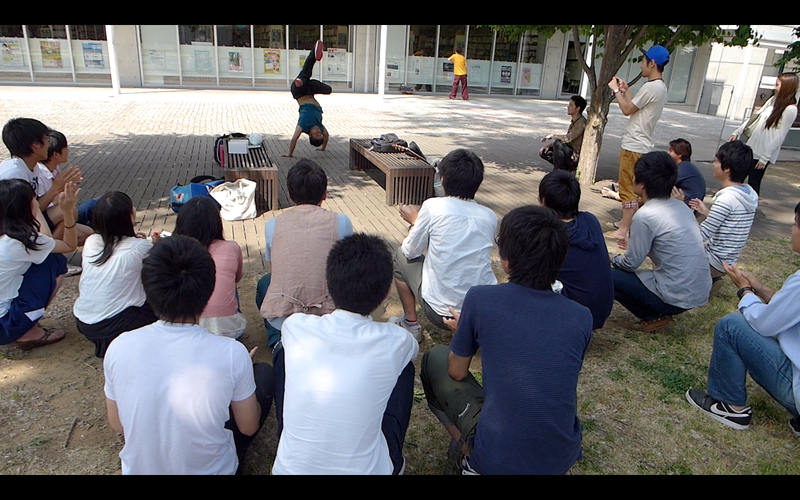 After the workshop, they went to hang out at the park in Shibuya. There they hung out and talked story. 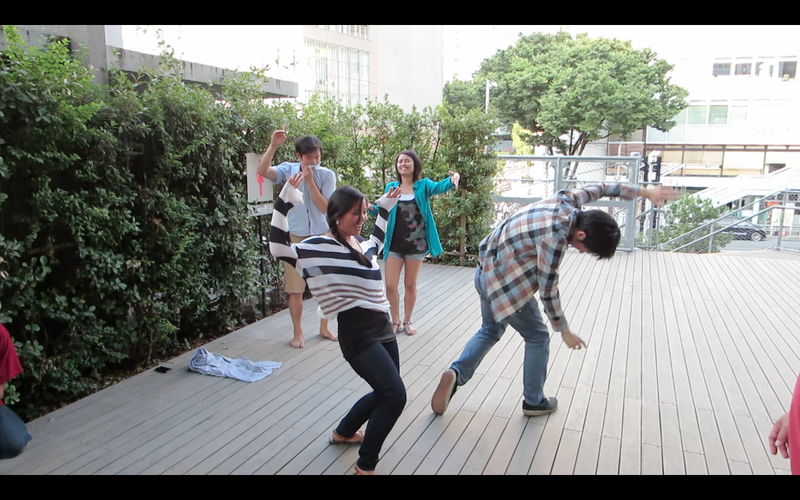 Then there was a fun impromptu dance battle! Hehe. 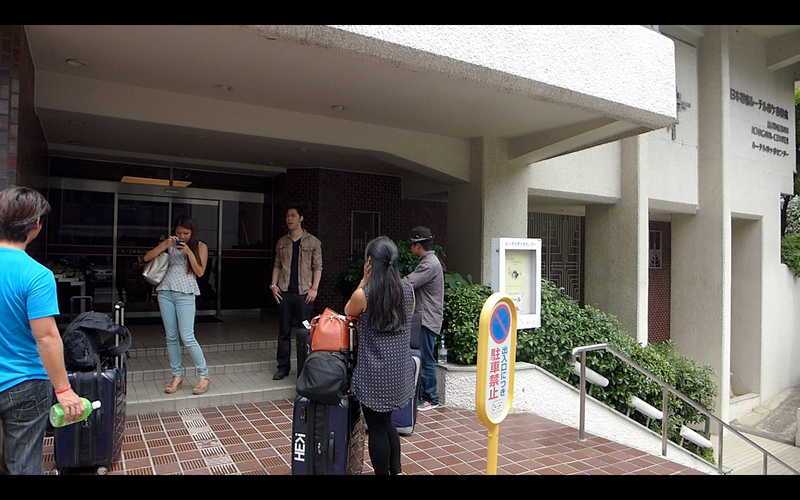 Afterwards they went to to the Beams building to hangout and meet everyone else. 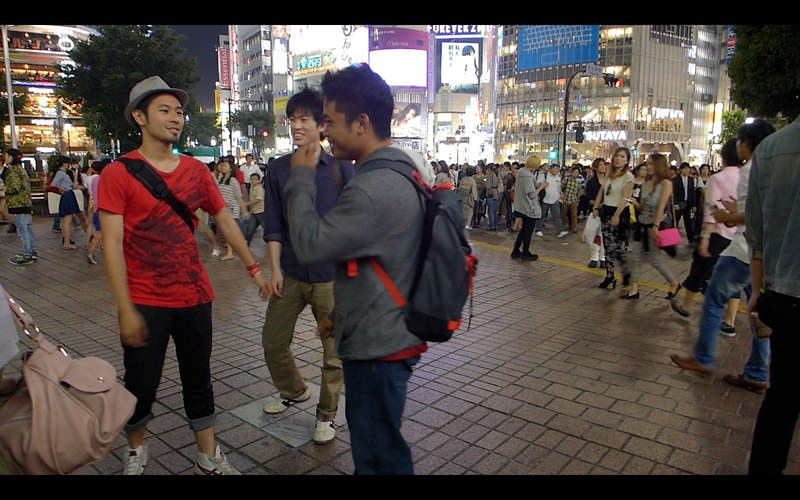 After all this, we all met together in Shibuya. Since we had so much people with us, we ate dinner in separate areas! Was so fun! 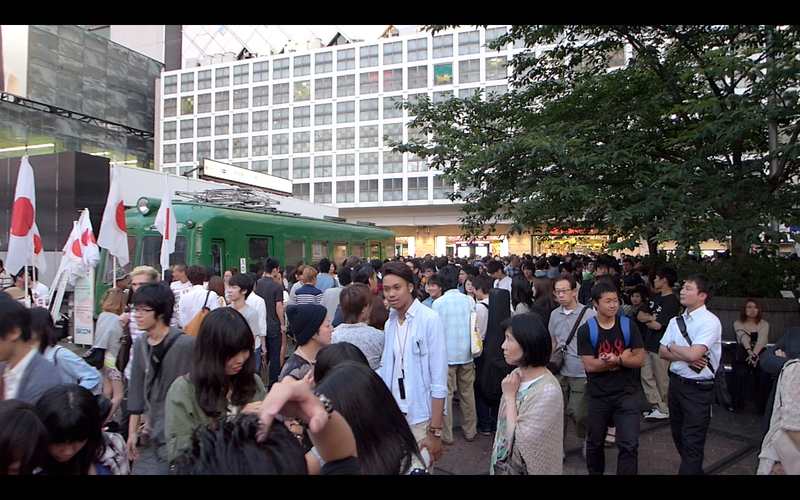 To end the evening, we all gathered together at Hachi-Ko (main meeting place). We hung out there for a little bit. 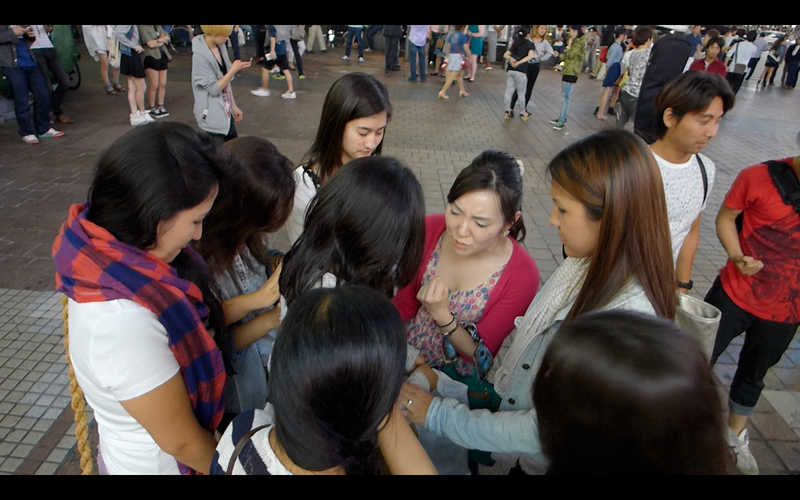 The girls prayed together for Sayo. 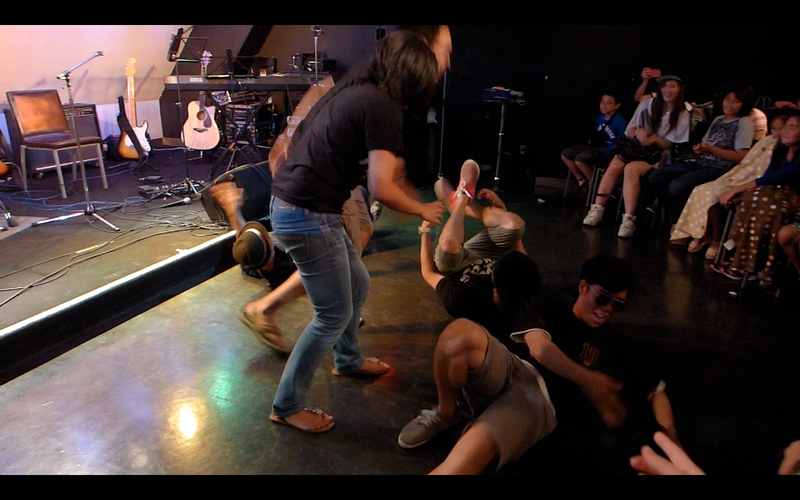 While the guys were goofing off. LOL. 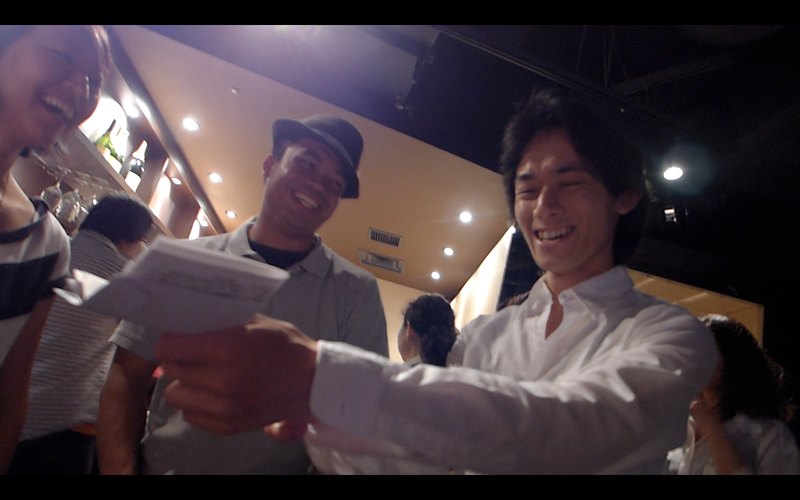 Then afterwards we prayed over Masashi. 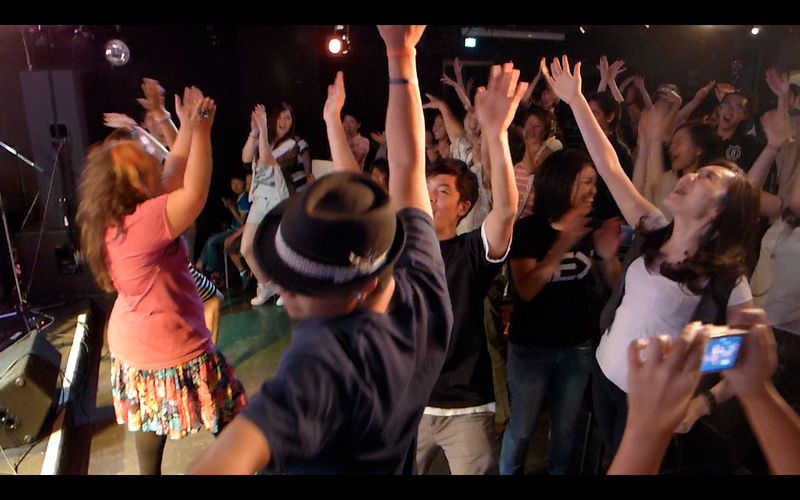 Was such a good time closing off our last week day in Tokyo. 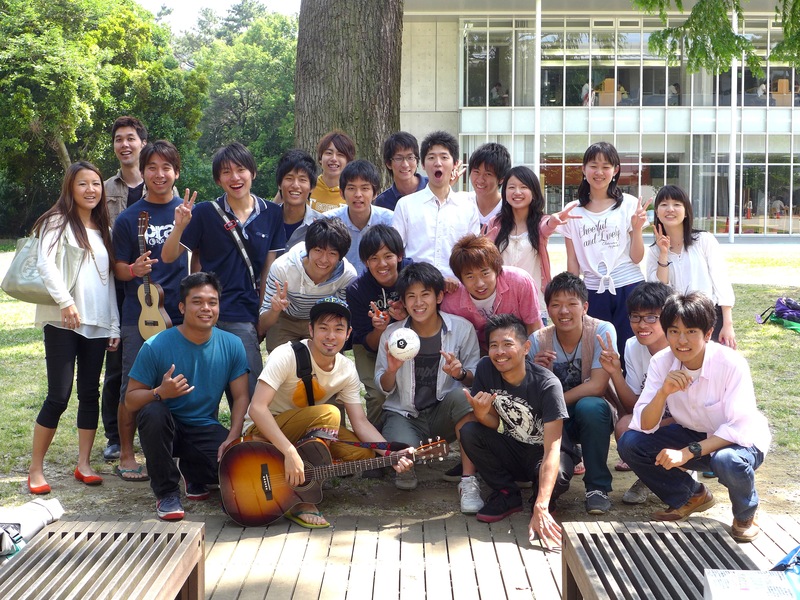 We travelled to Todai- Komaba campus, for the last time on our trip. We were expecting God to allow us to reconnect with our friends and hang out with them. As we got onto campus, we met Bryan and his friends. 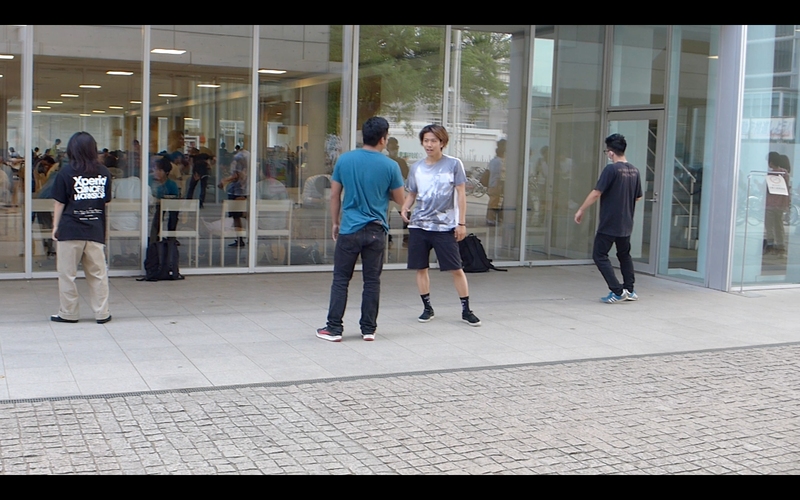 They were planning to do a flash mob. 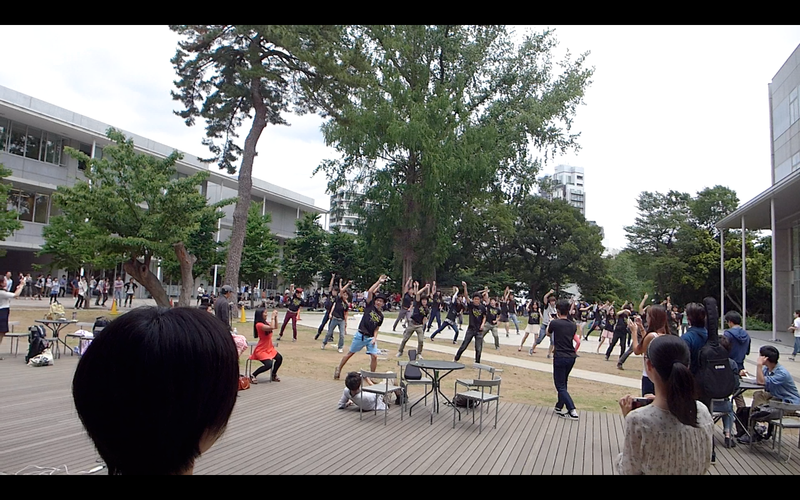 We were told that it would be the first time ever that a flash mob was done at Todai. It was so cool to meet Bryan and his friends as they prepared to do their dance. 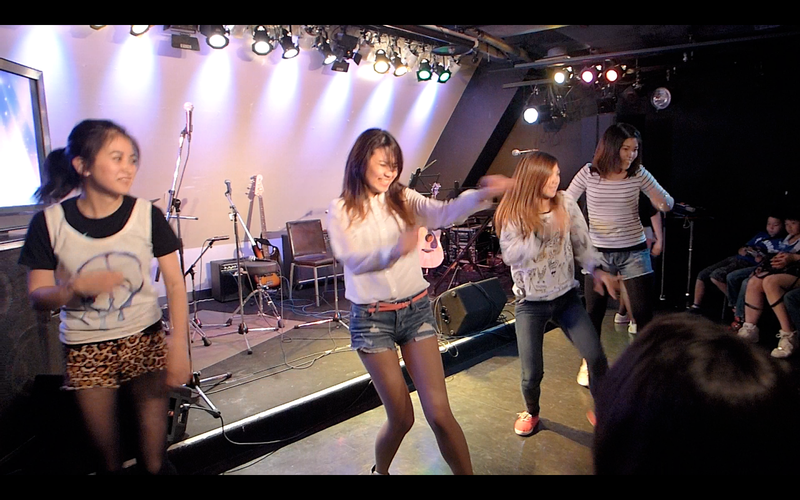 They danced to “Beat It” by Michael Jackson. They did a great job. Unfortunately, it looked like they got busted. But it did not look severe, so it was all good. LOL. 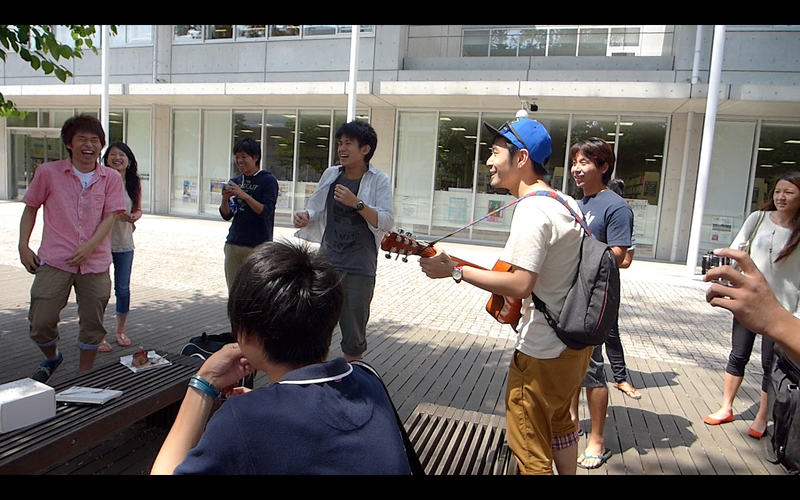 After that we continued to hang out with students. 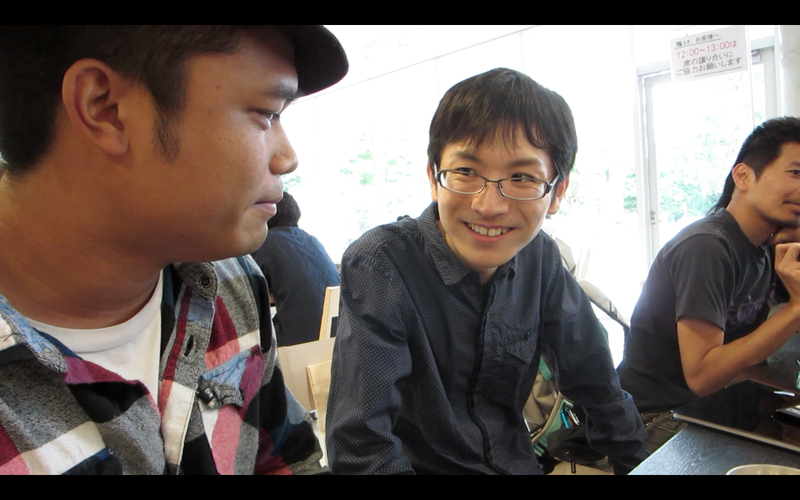 In the afternoon, we met with Kei and Shingo at the cafeteria. It was so cool to reconnect with them and support them in their studies. It was cool walking down the main walkway lined with nice big trees. 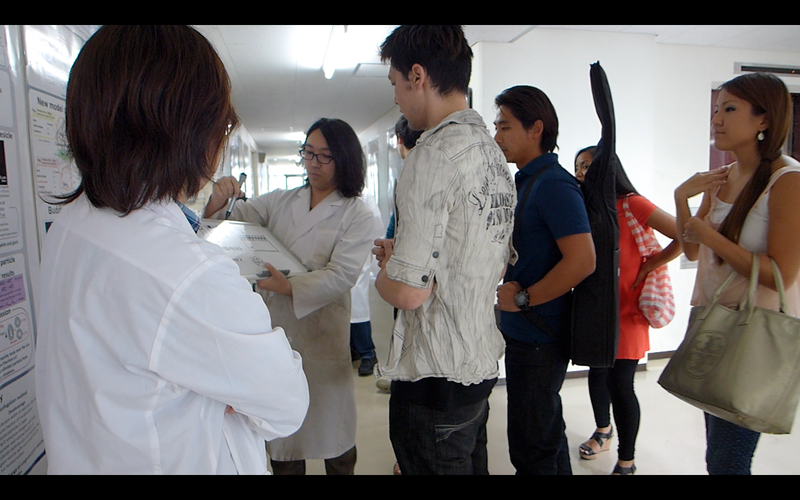 We made our to their science building and they got into their lab coats and they shared with us their field of study. We went through several floors hearing their presentations. 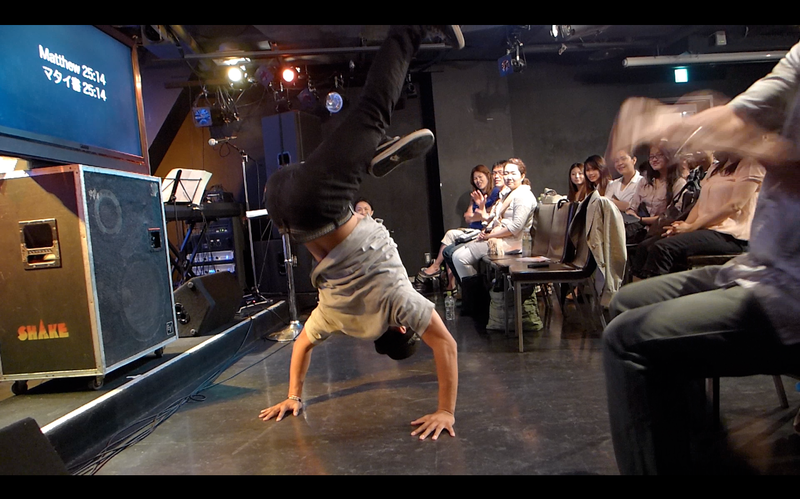 Here’s Kei and Josh fooling around during one of his colleague’s presentations. LOL. Was so funny! 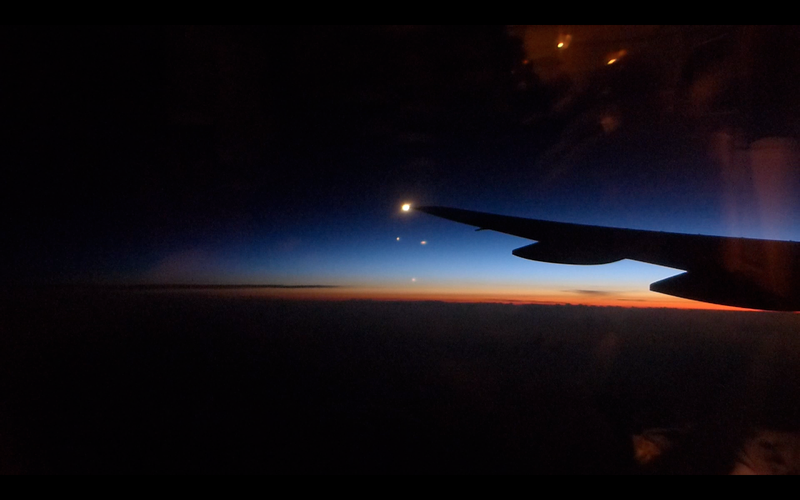 It was so cool. It dawned on me that we were in the #1 university in ALL of asia and we are talking to some of the coolest, down to earth, brightest scientific minds in All the campus. God is soOo good! 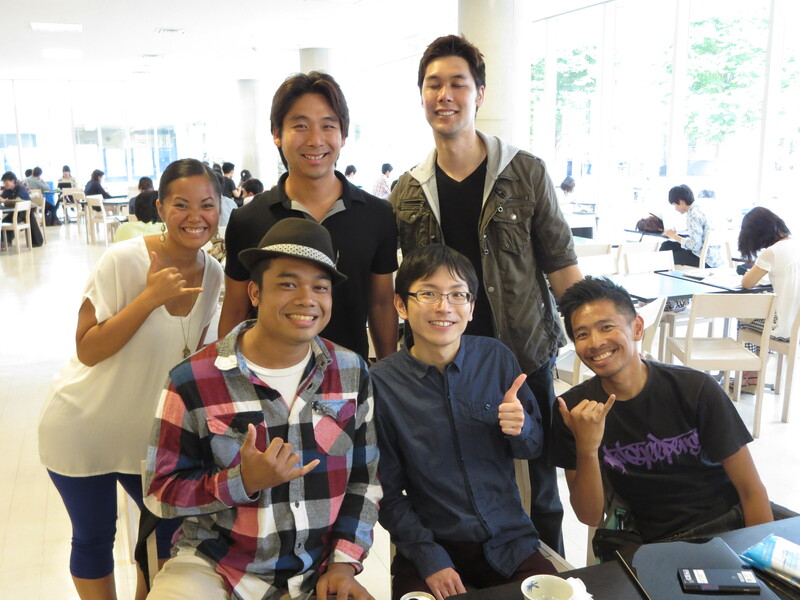 It was so great meeting Kei and Shingo and all of their friends! After that we left campus. We traveled to Pastor Glen’s house. The train was soOOOoo packed! 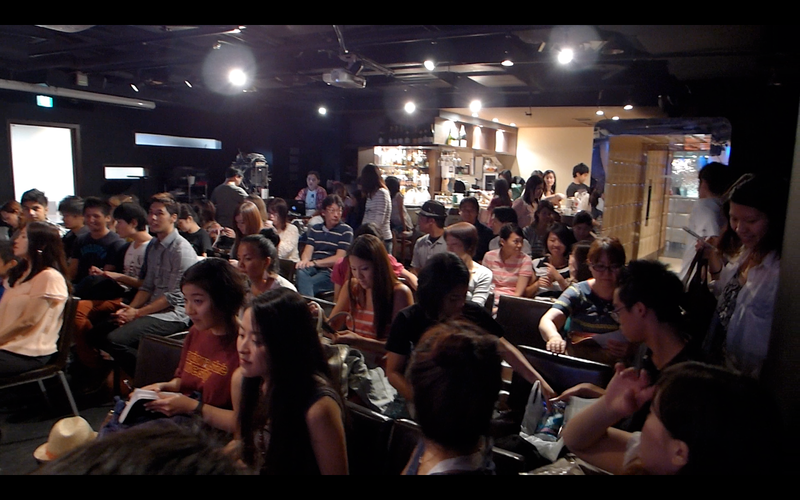 As we got settled in, many people from their church came in. 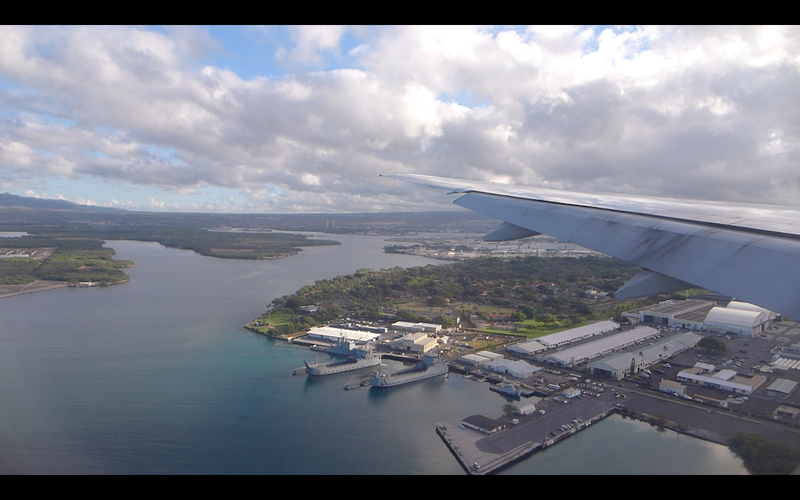 We spent time worshipping God and broke up into small groups to pray over the city, Grace Honolulu, pray for friends and family to come to know Jesus, etc. Was such a powerful time. God was really in our midst. Afterwards, we all ate dinner across the street. The food was so great! 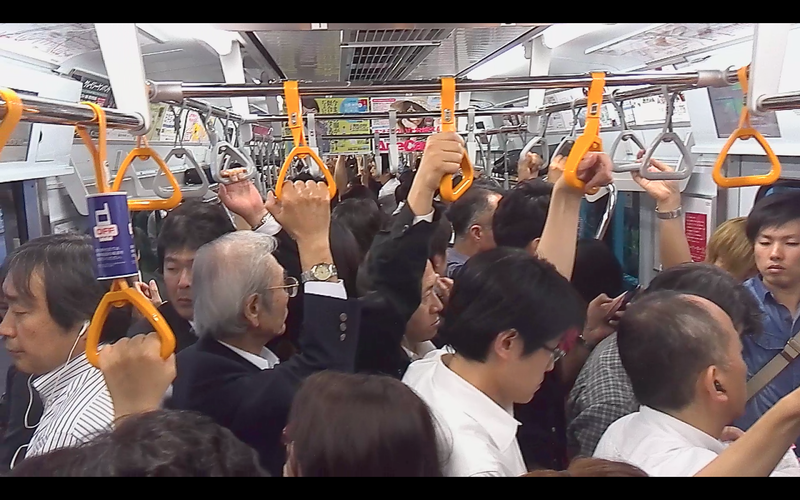 As the evening drew to close, we got into one of the most packed trains we’ve experienced in all our trip. 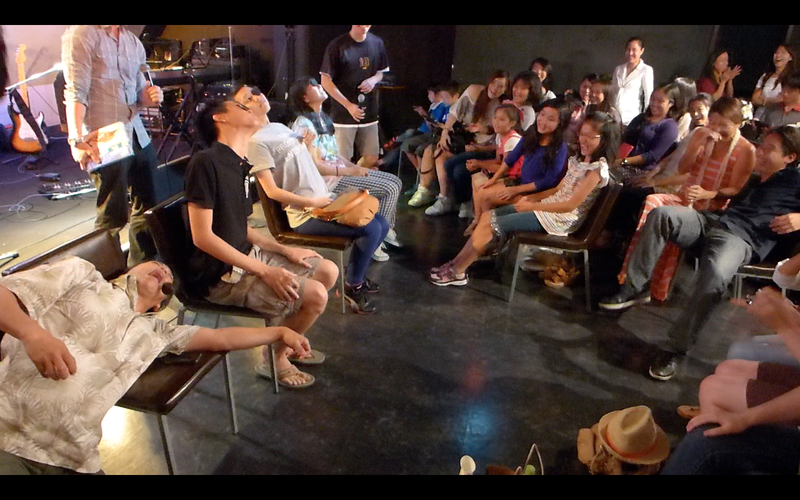 We were cramped but it was soOOo fun! 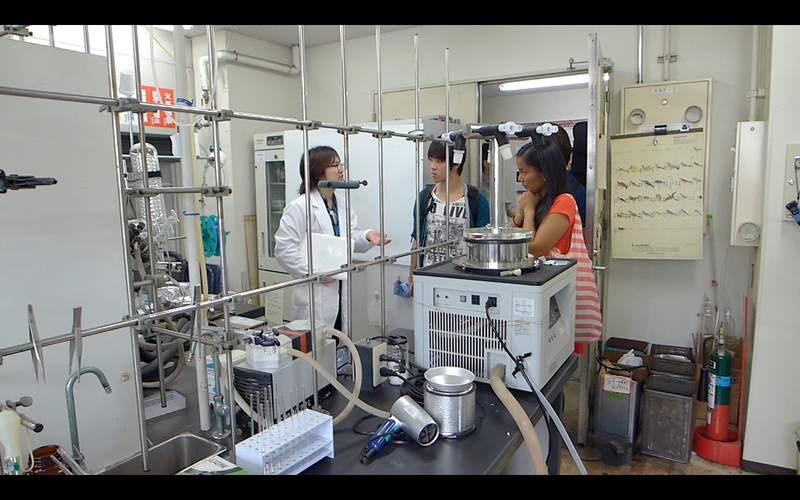 Last week on campus we met one of the most happy and awesome graduate students in Tokyo University. 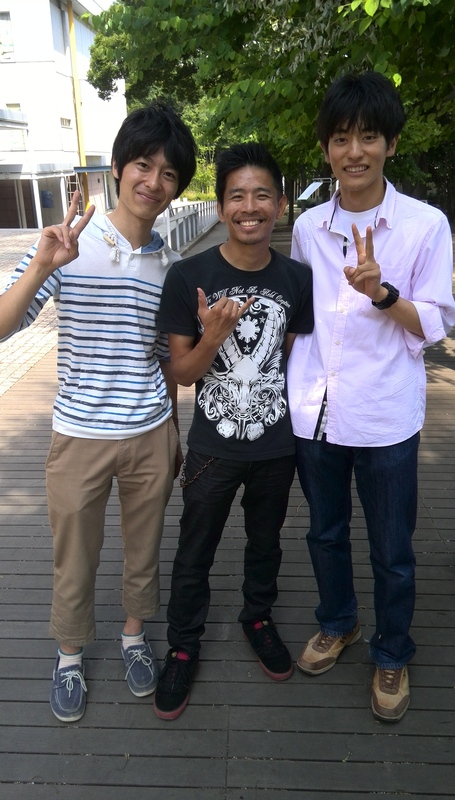 We got to make friends with Norihiko a.k.a. “Nori”. We met him last week Thursday and got to talk story with him. Then today we talked more and started talking about his life and family. 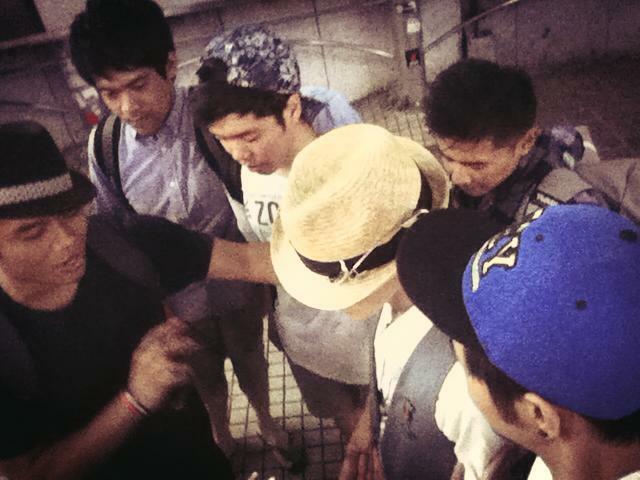 Josh offered to pray with him. Nori was very interested in prayer. Josh shared some of his testimony of God in his life and how God can answer prayers. 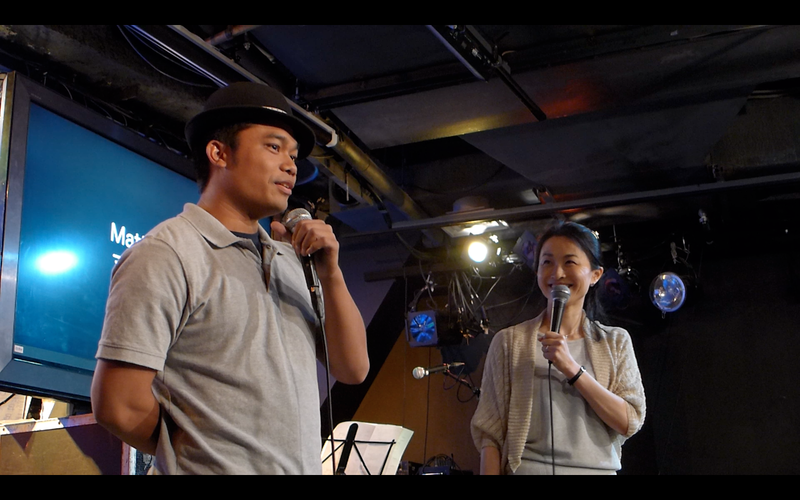 And also shared that we can experience all these things by having a personal relationship with Christ. Josh asked if he wanted to accept Christ..and he did!! !He prayed a prayer of salvation! 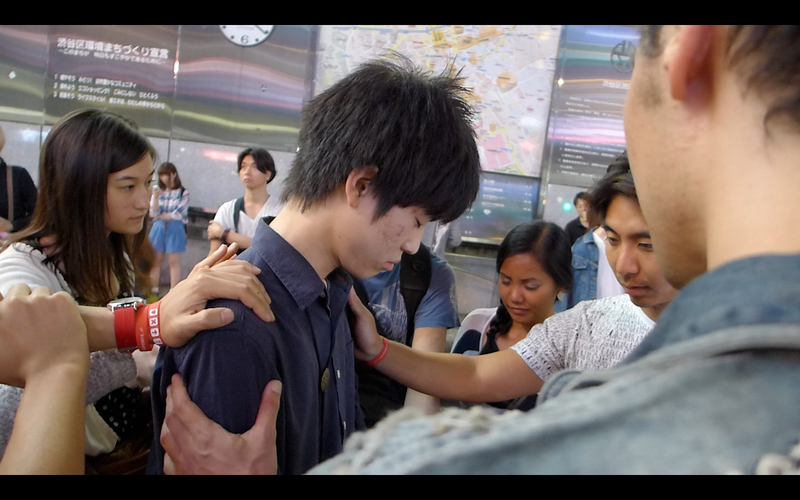 After praying Nori said he felt a warmth in his body. 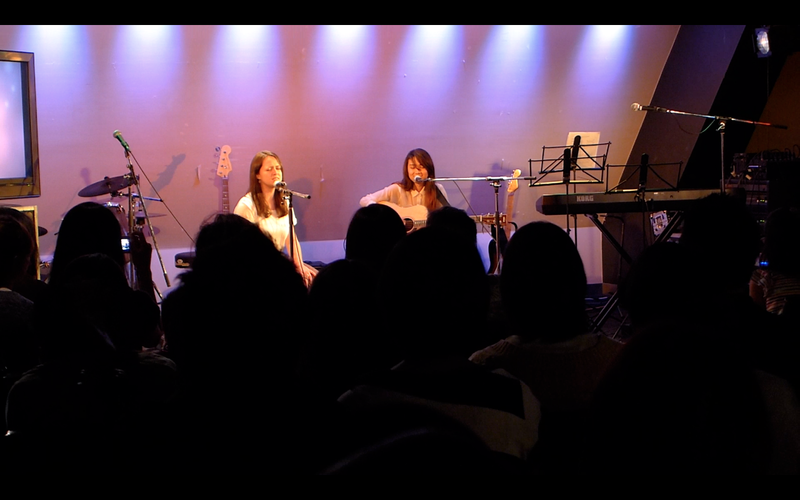 We believe that was God. 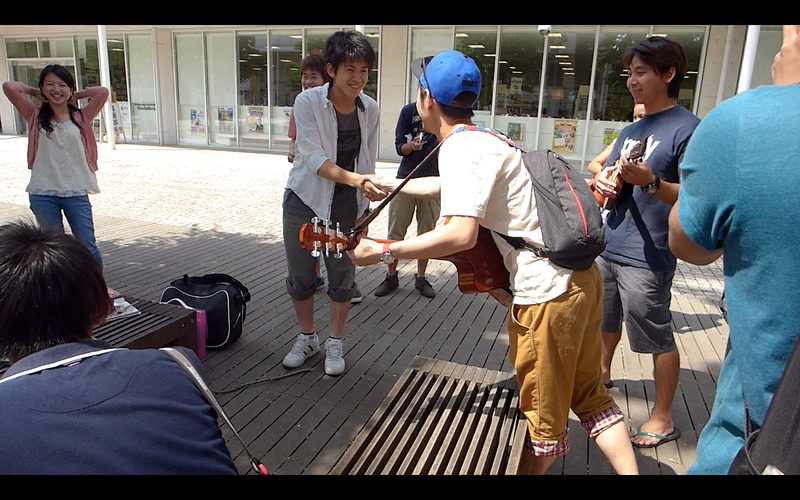 An awesome moment in the middle of Tokyo University cafeteria amongst many other students there. Ok, so I have been posting in the wrong blog all this time, thats why you are getting all these days at once. Sorry about that. Ok so let me update you on what we did today! 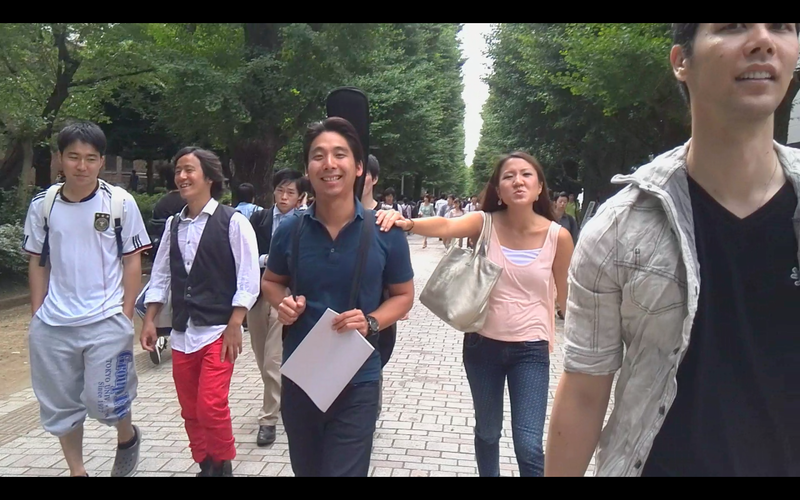 We started out the day with worship and prayer, then headed over to Tokyo University for some more fun! 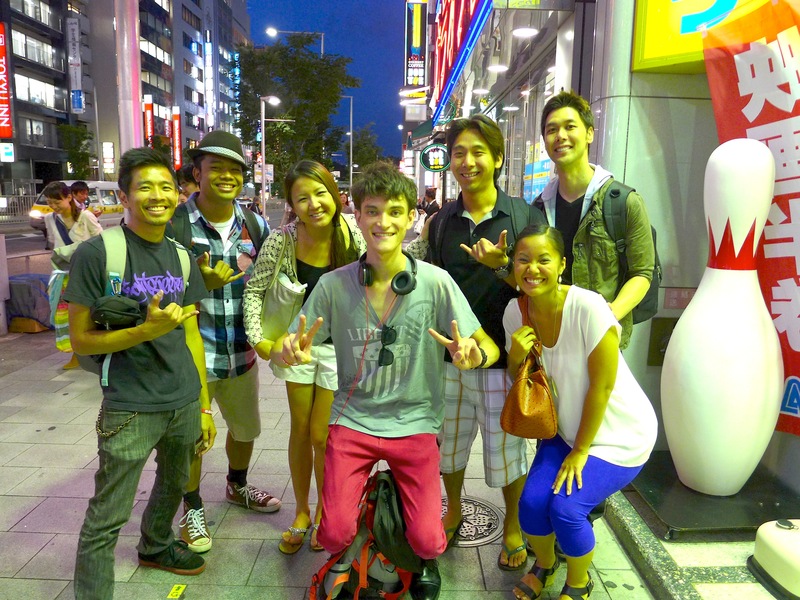 We met a super cool student, Taichi going there on the Train and he said he wanted to visit Hawaii that summer. Hopefully we will take him surfing here when he comes to visit. 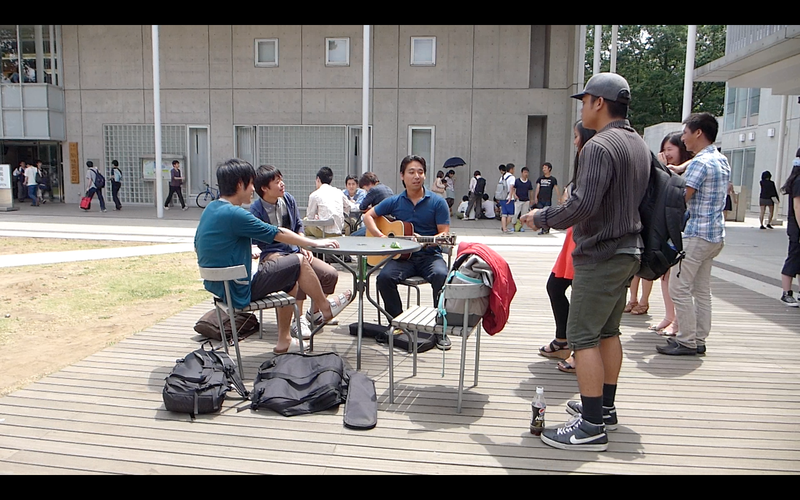 We ate lunch at Tokyo University with Jireh, then headed out to a shaded grassy area right outside and just sang songs on the guitar and ukulele. A short time later a bunch of students were clapping because it was someones birthday. 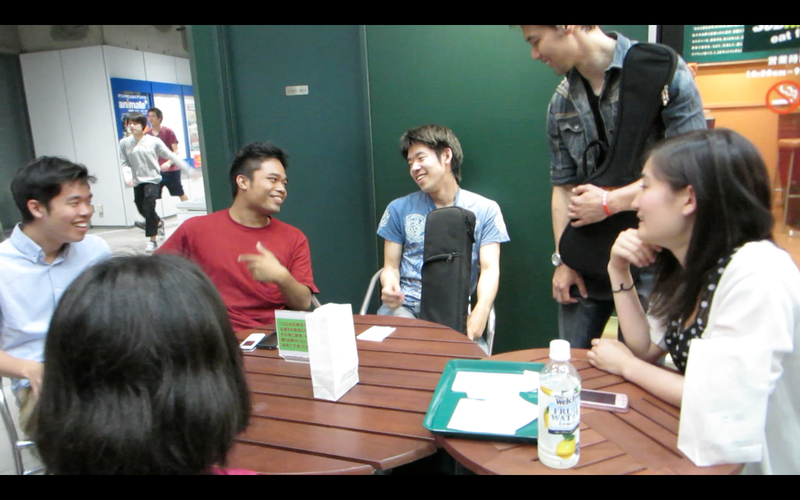 We decided to sing him a happy birthday since they didnt sing for him, so with Jireh on the guitar we all sang to him. 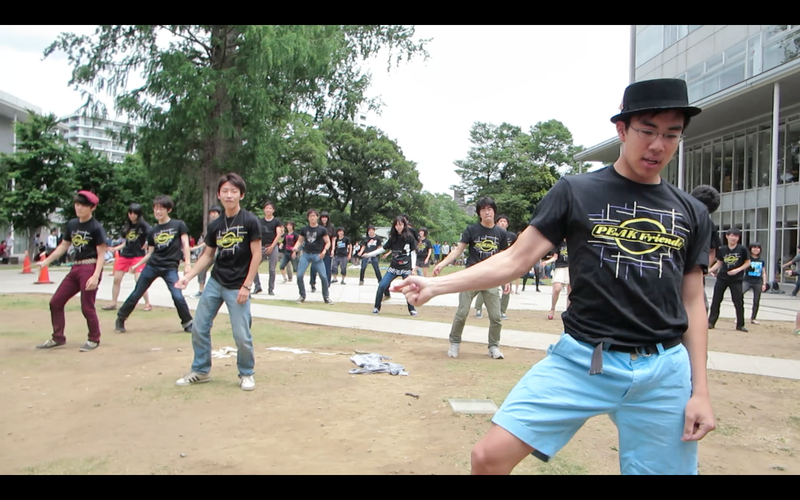 …then proceeded to teach the group of guys there some choreographed moves. 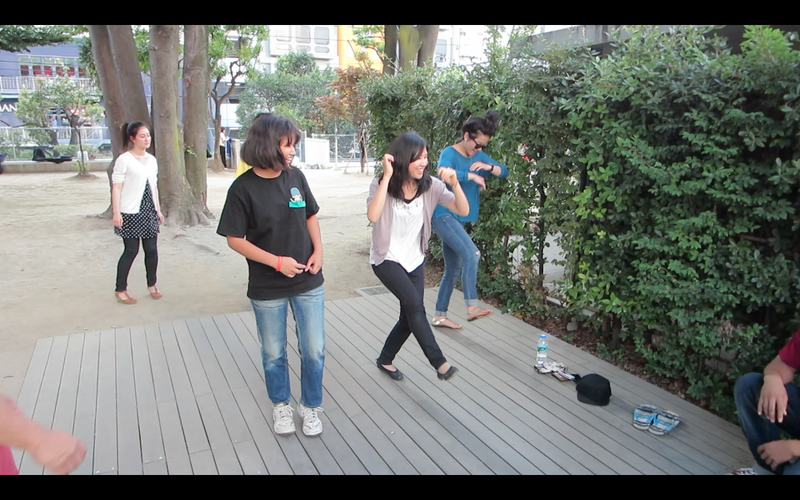 It was cool seeing about 20 Tokyo University students having fun learning some dancing and just having a blast. I think we have this all on video, so if someone would post it, that would be cool. hint hint shaun/jireh lol. We also saw our two friends who were “flagging” in the same spot earlier and made a lot of new friends. 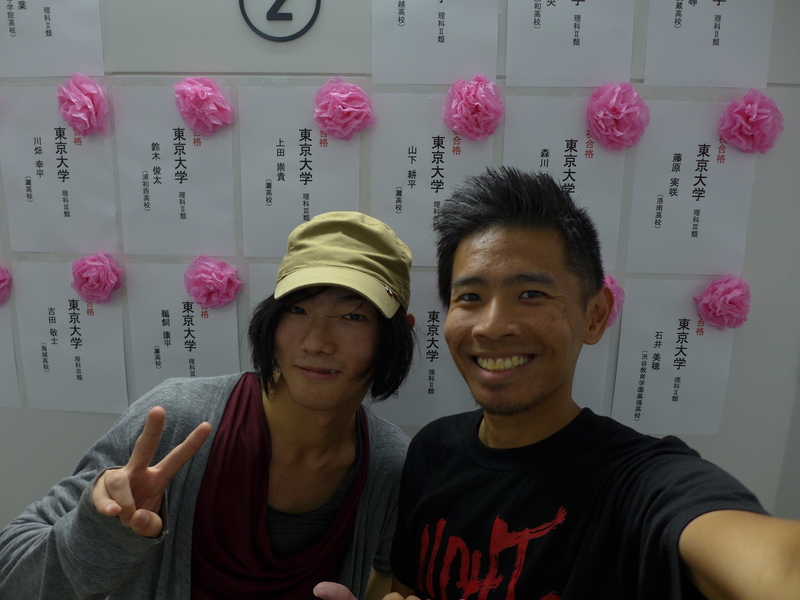 Was great talking story with Kenichi too. Keiko and Jade made a new friend, Natchan! Justin and Daniel also helped in teaching her a song. The girls got to eat lunch today with her, share life, and talk story with each other. Shaun met some cool people too. He was able to share his portfolio and testimony with them as well. 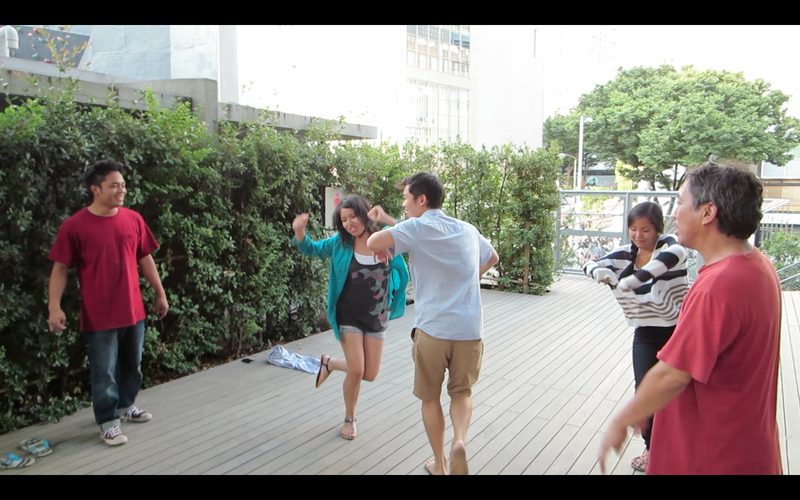 we sent Josh to do some more dancing with the dancers who practice there by the cafeteria. They had a cyhper (which is just a circle where the dancers take turns showing their stuff), and got to hang out with a lot of friends we had made the previous week. 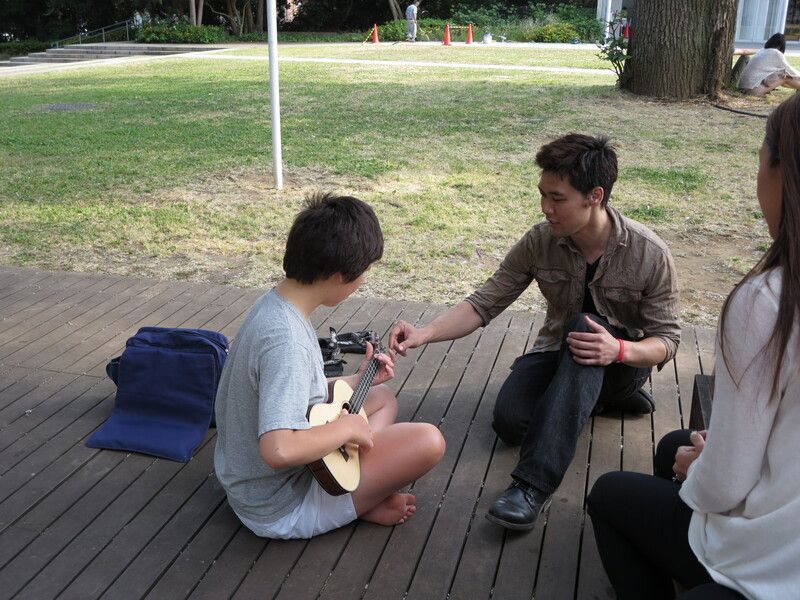 Afterwards, Justin was teaching one of the guys how to play ukelele. 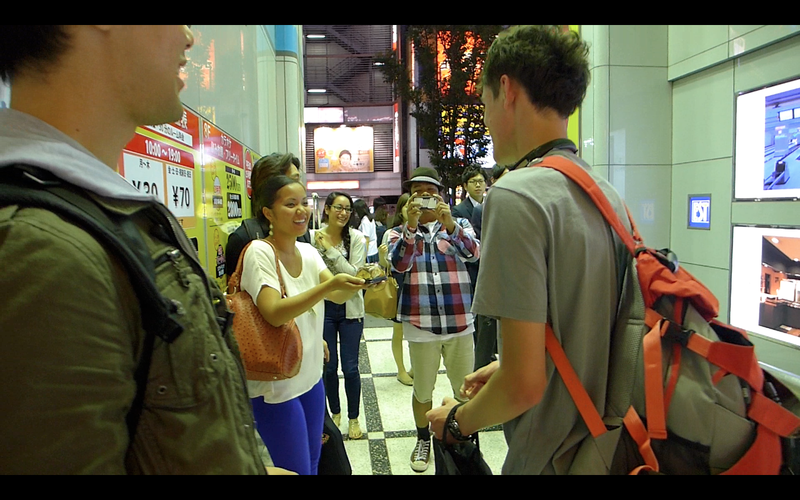 Everyone from our team was talking story with all those that watched the cypher. Was so fun getting to know everyone! After Tokyo University (Todai), we took one of our new friends Kenichi out to eat tonkatsu in Shibuya and do some shopping in the same area. After a short train ride back home, we are getting ready for bed and for another action packed day tomorrow.